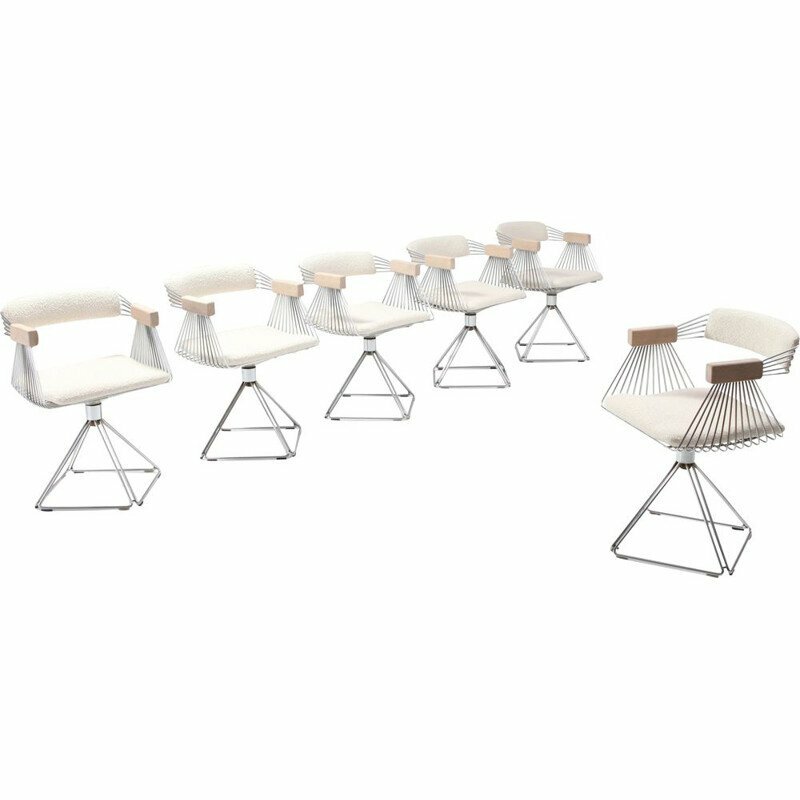 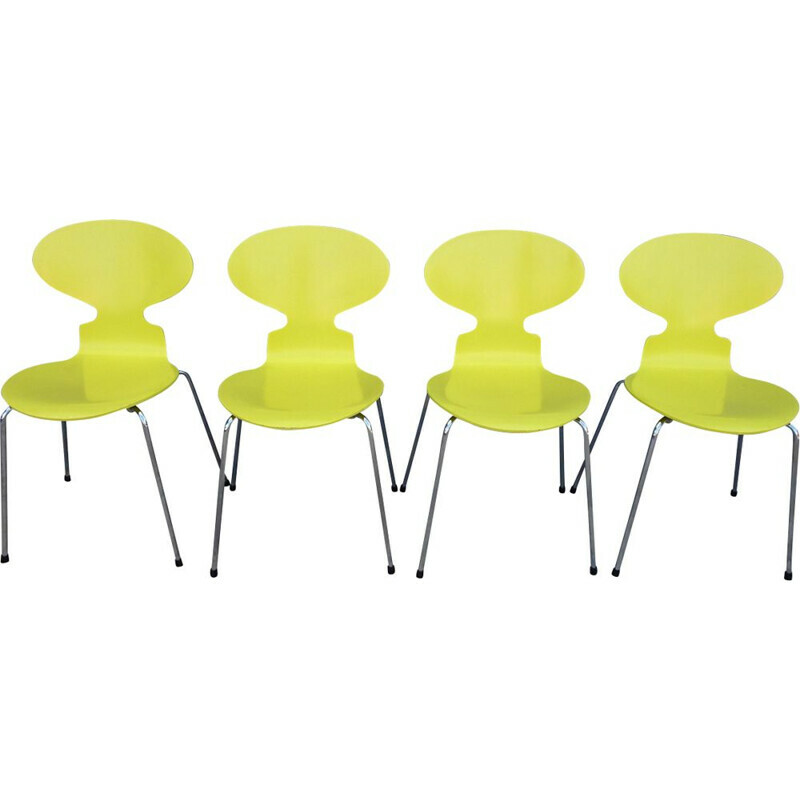 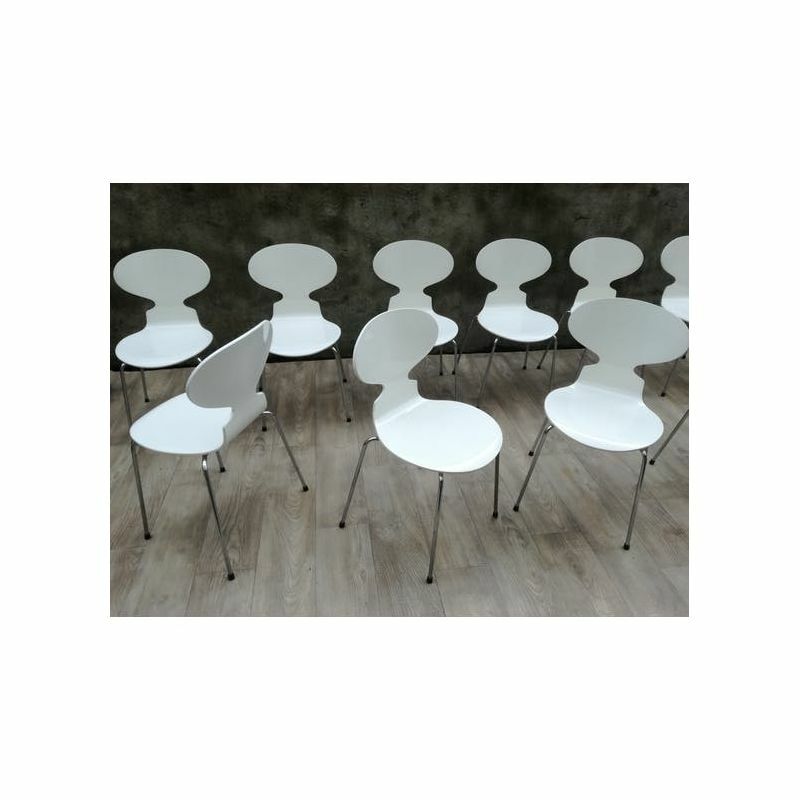 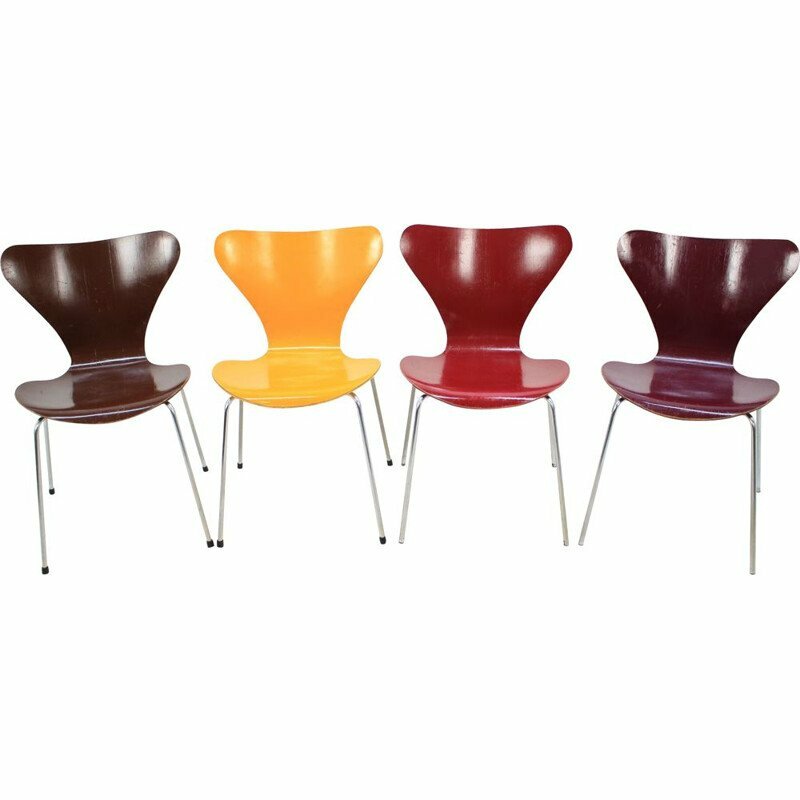 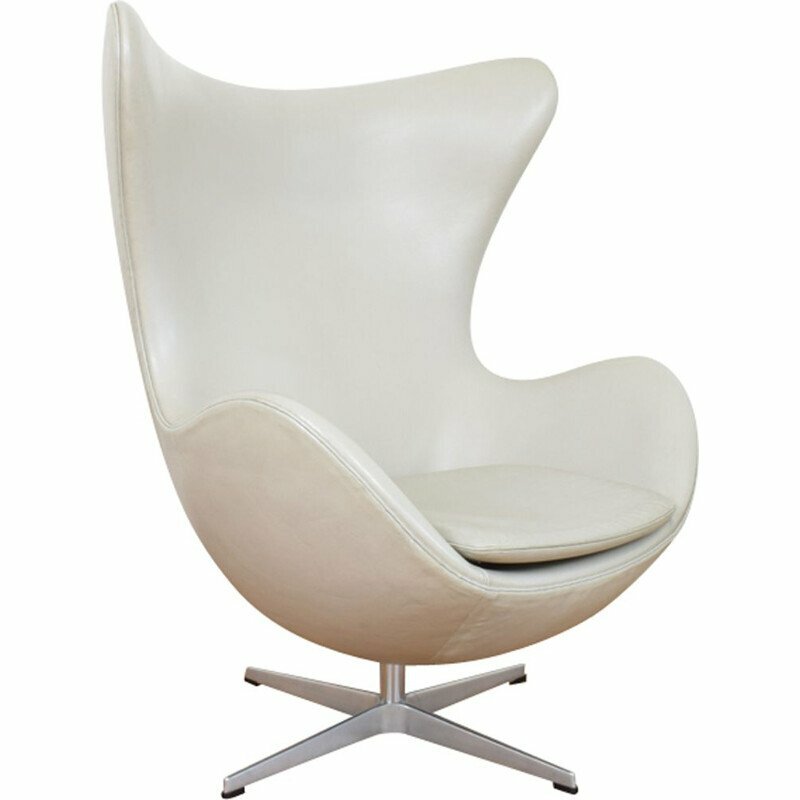 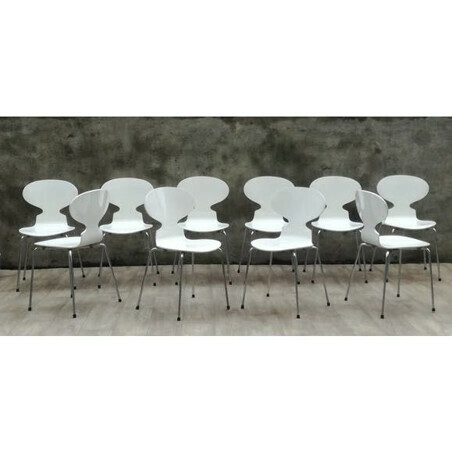 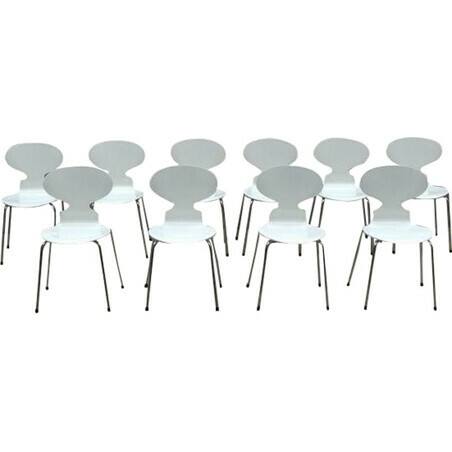 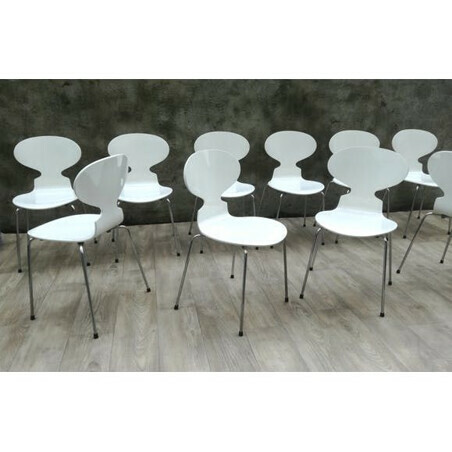 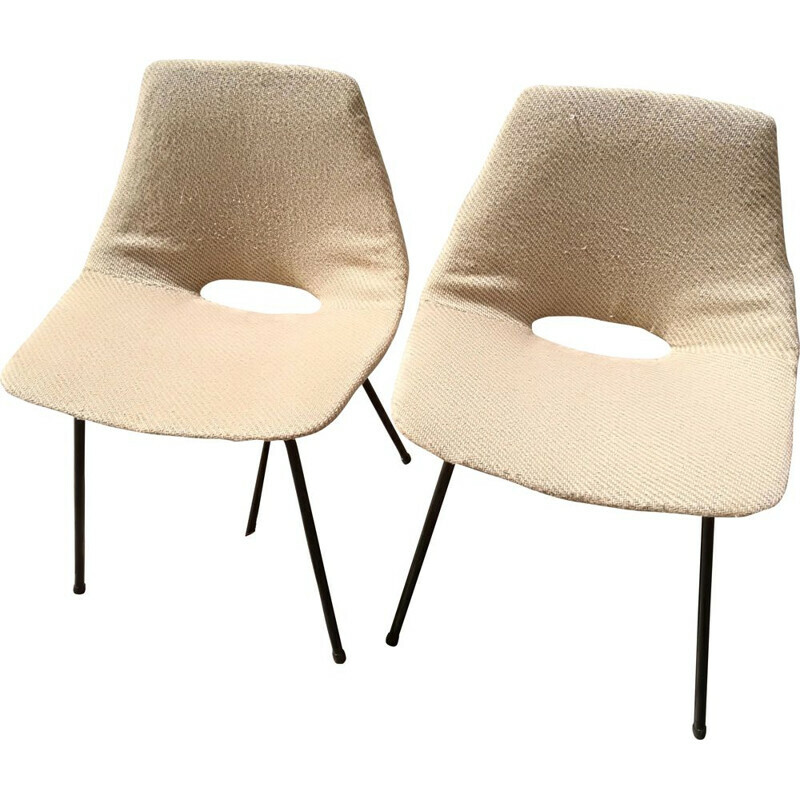 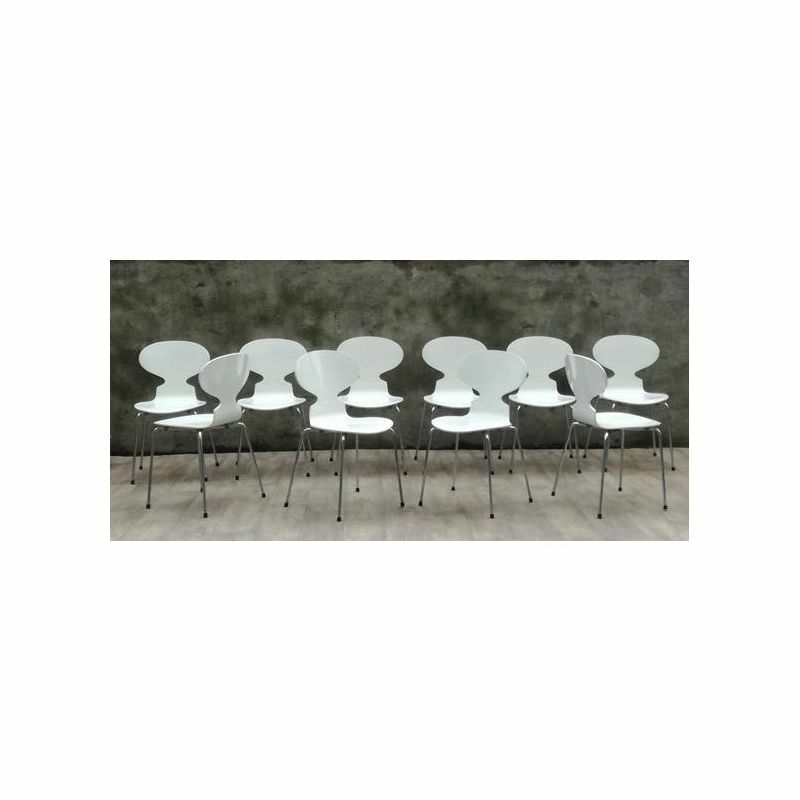 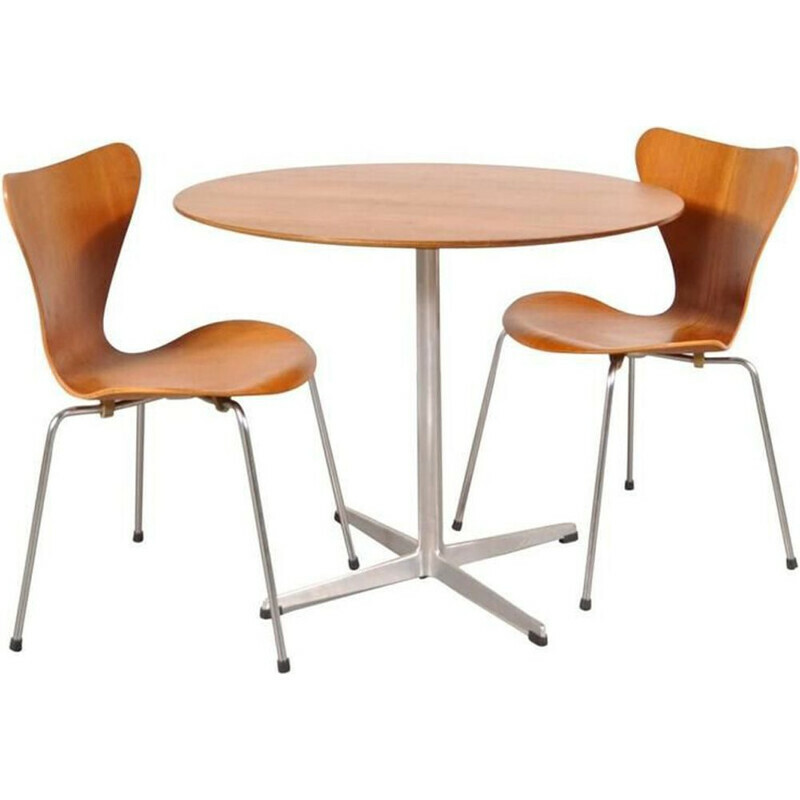 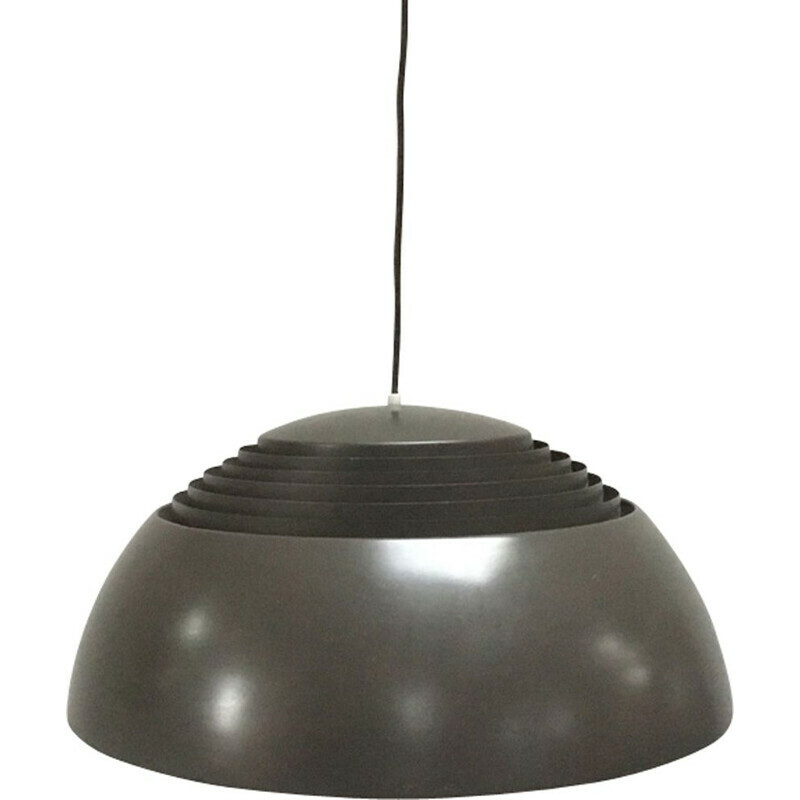 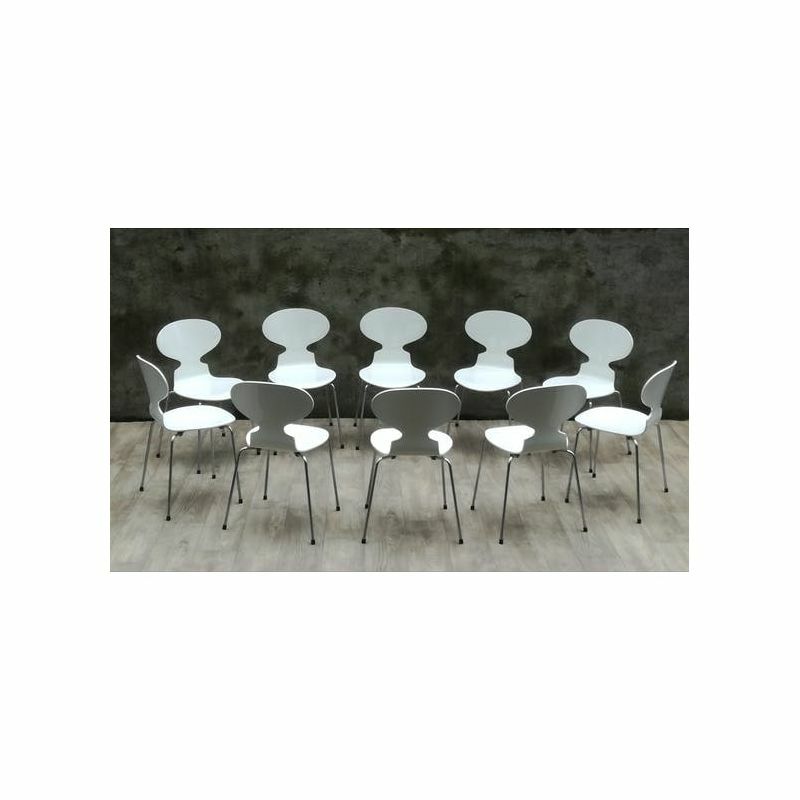 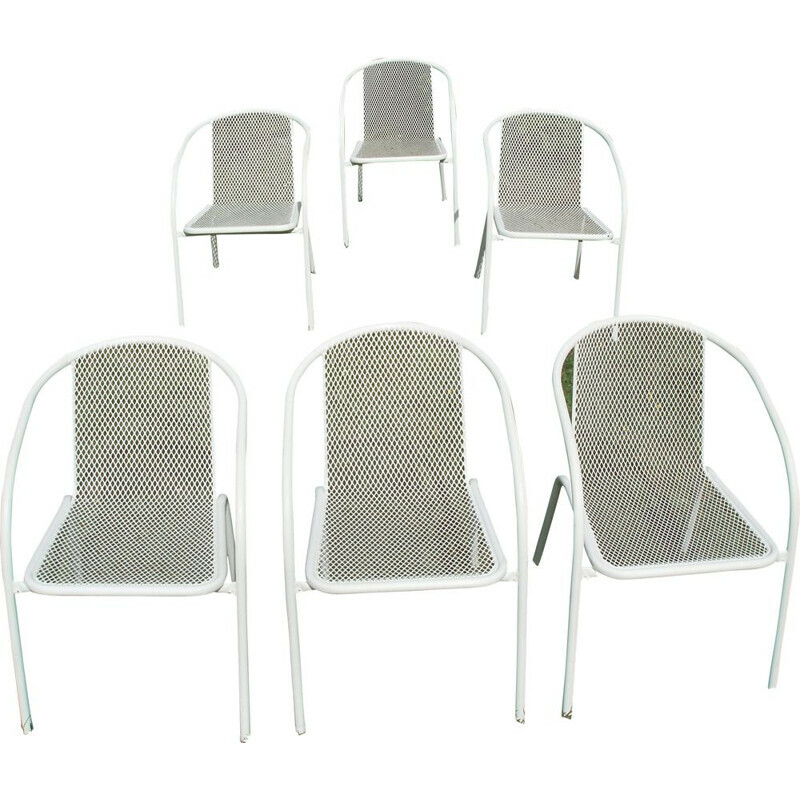 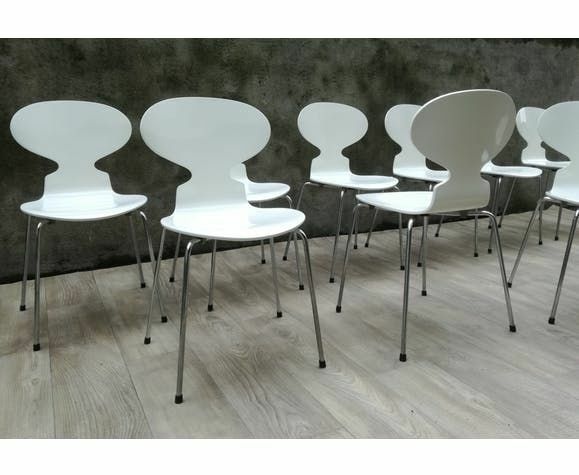 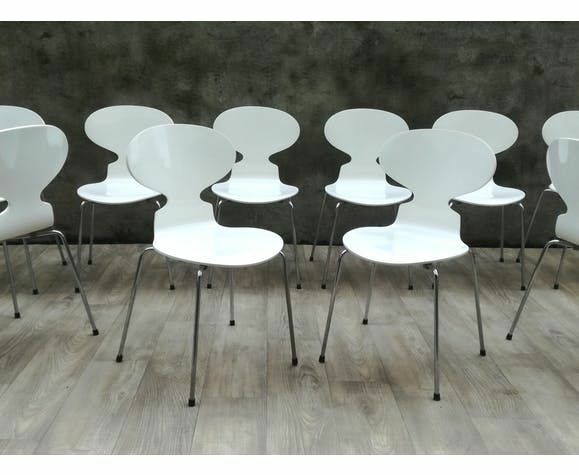 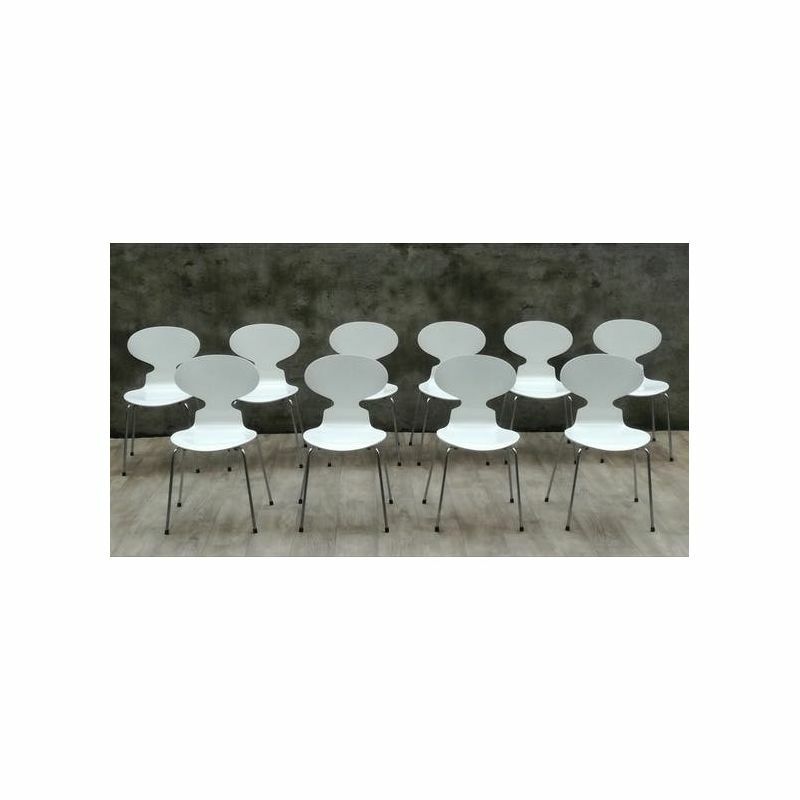 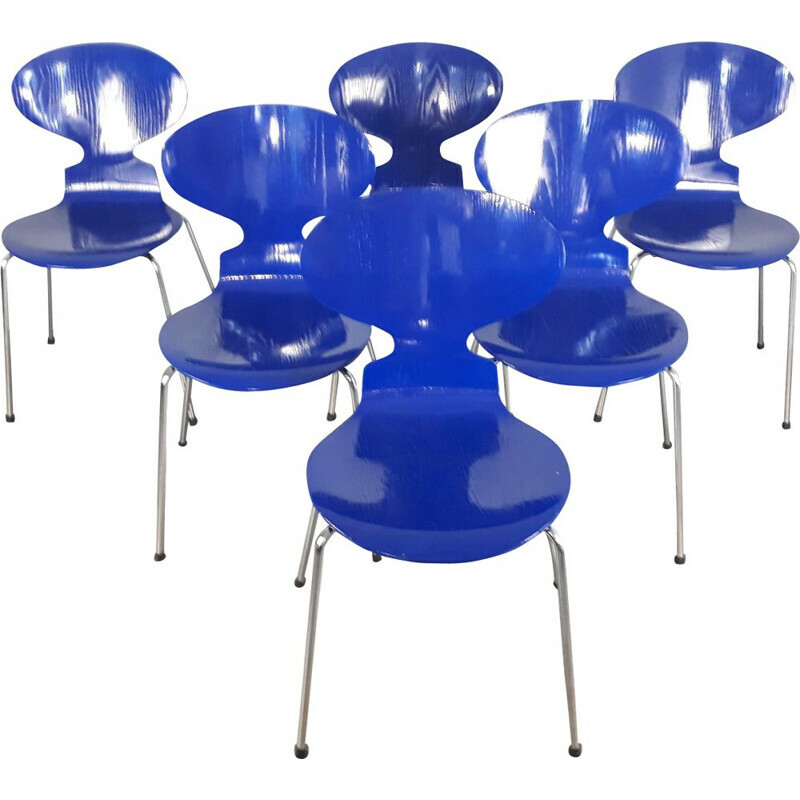 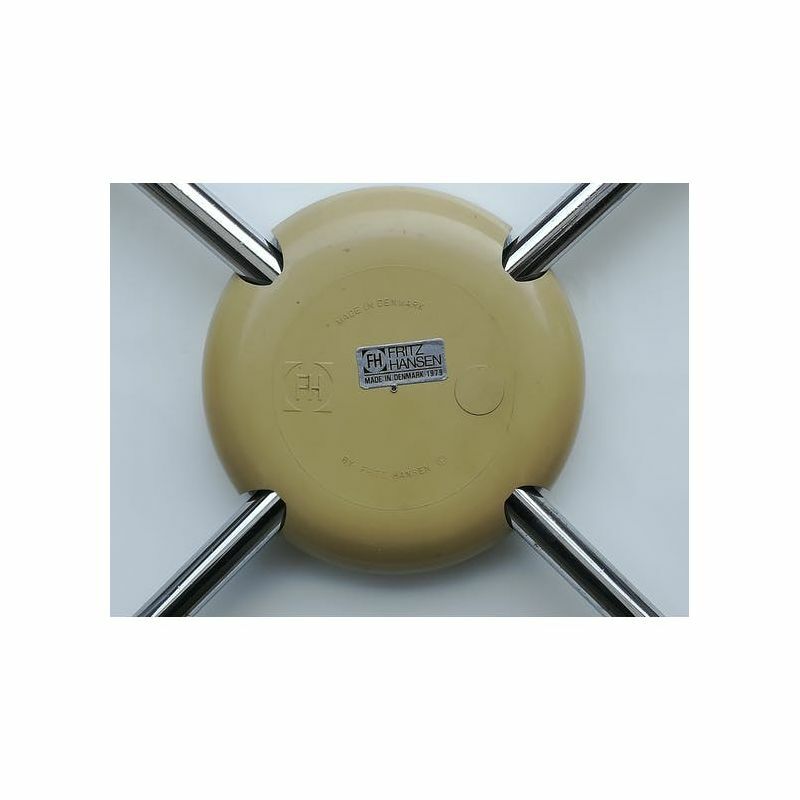 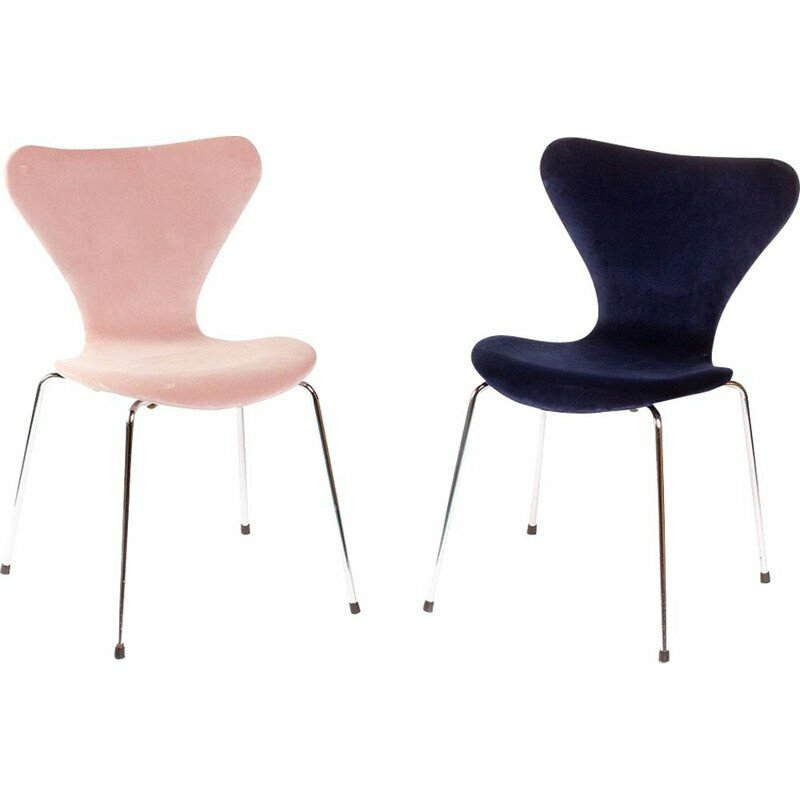 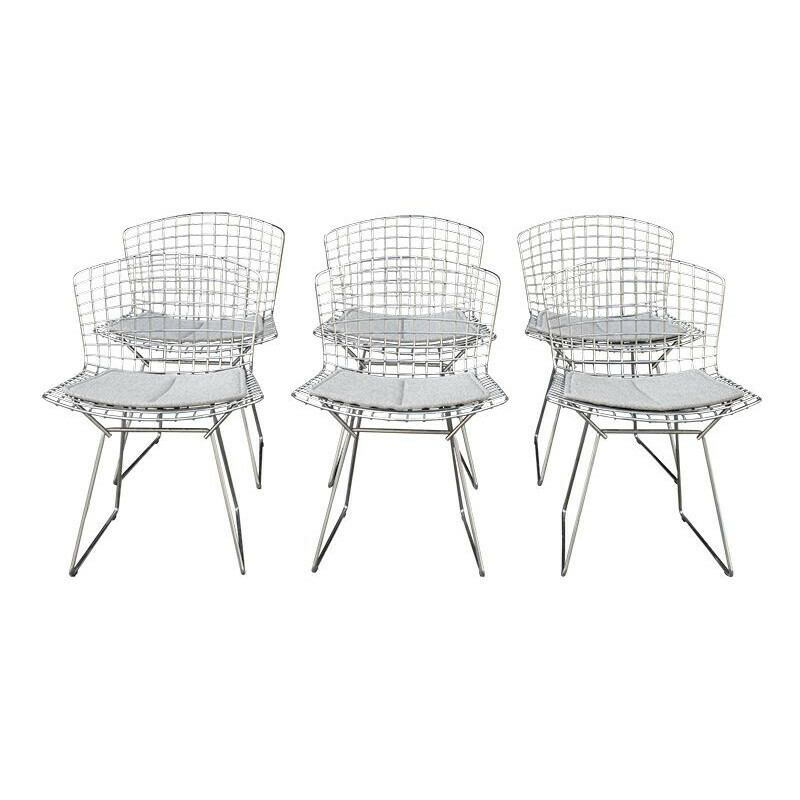 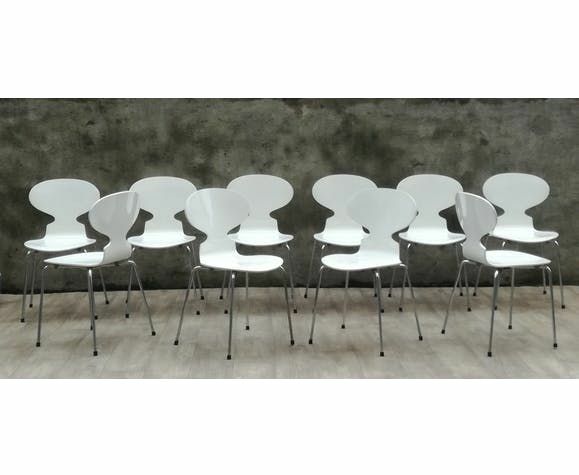 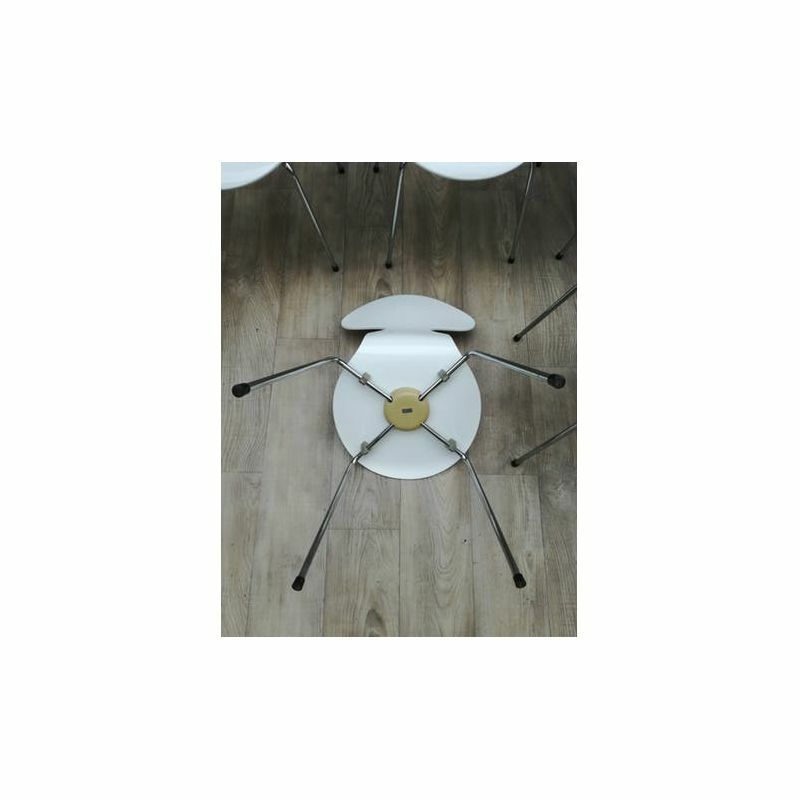 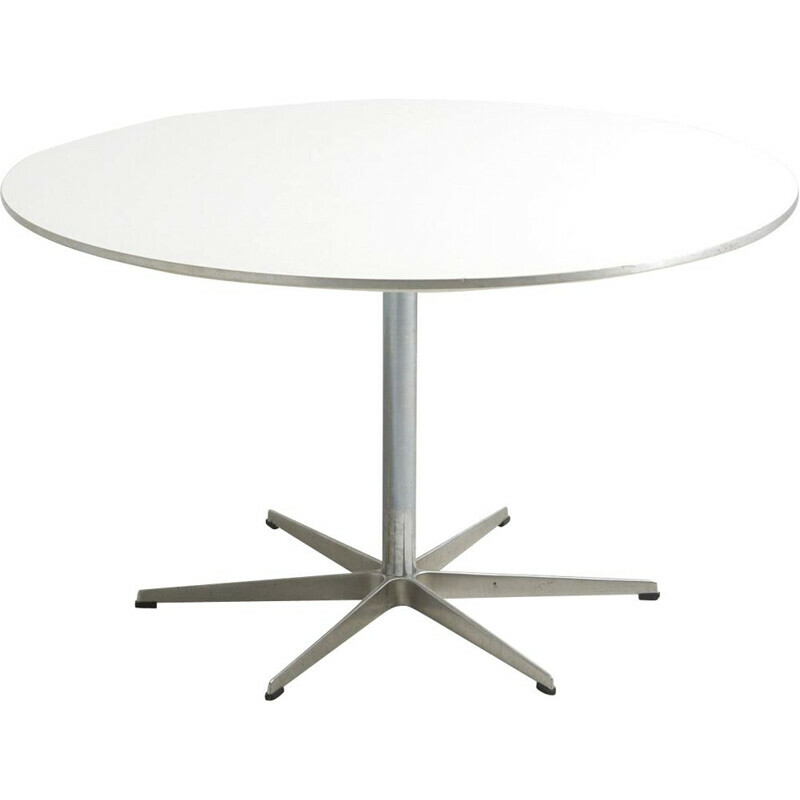 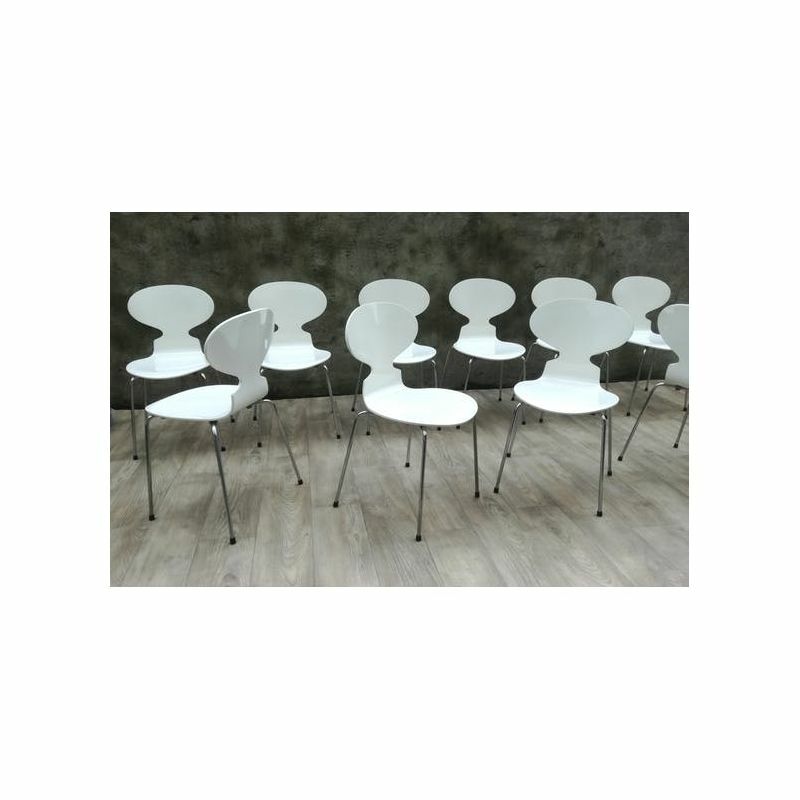 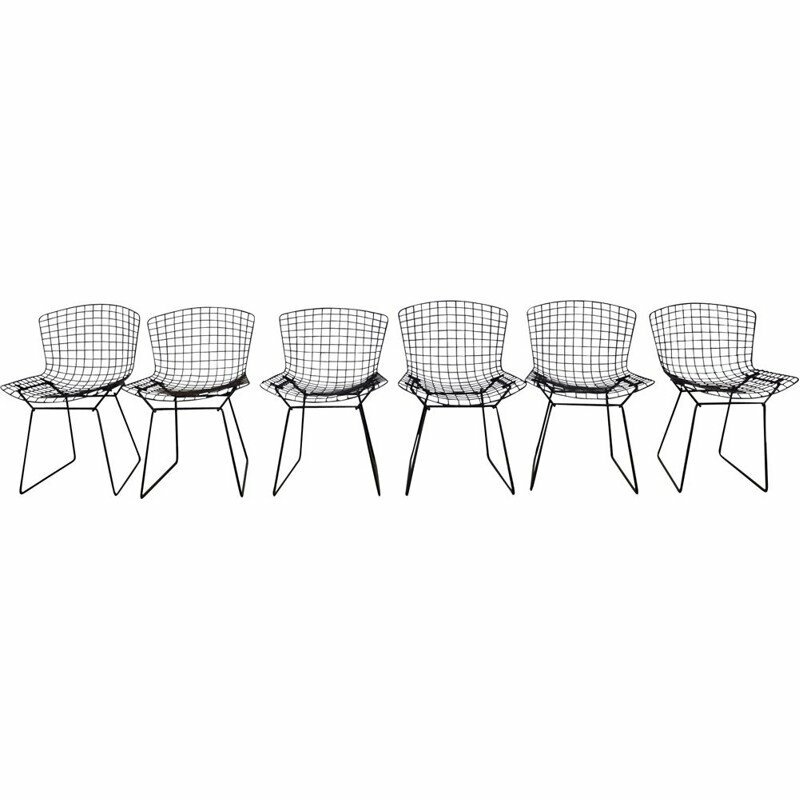 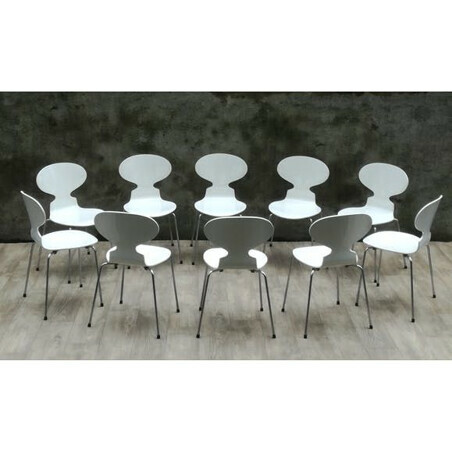 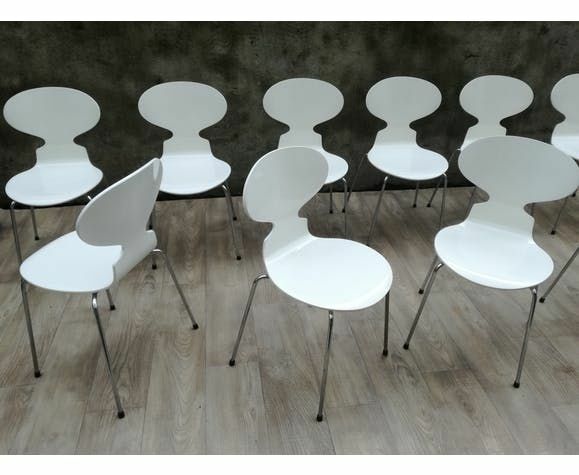 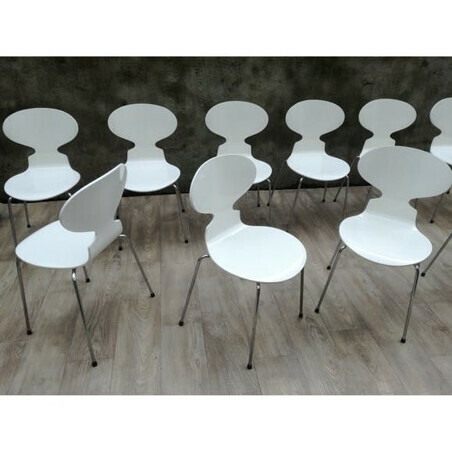 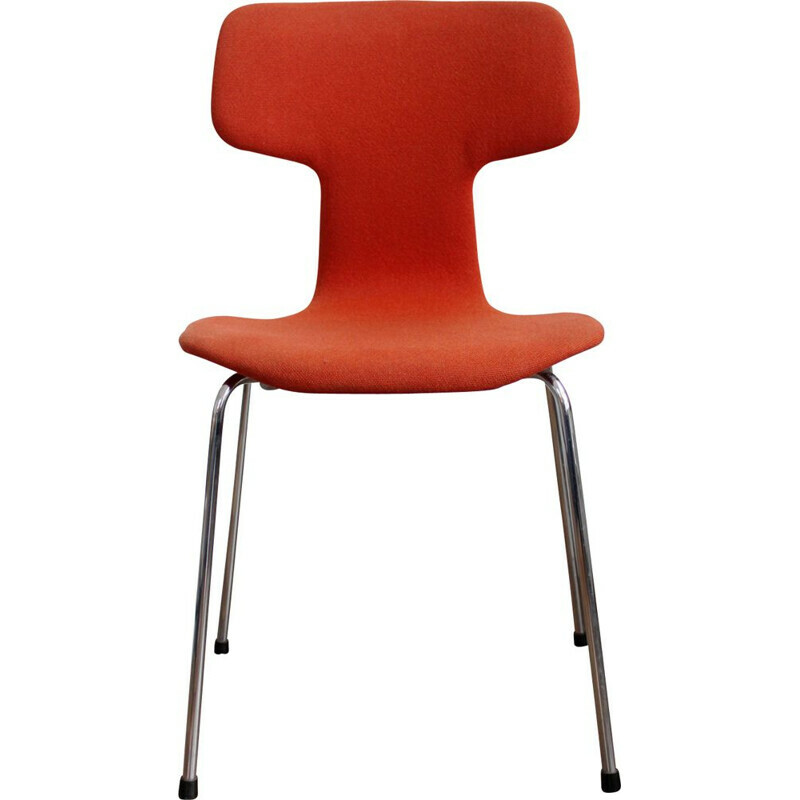 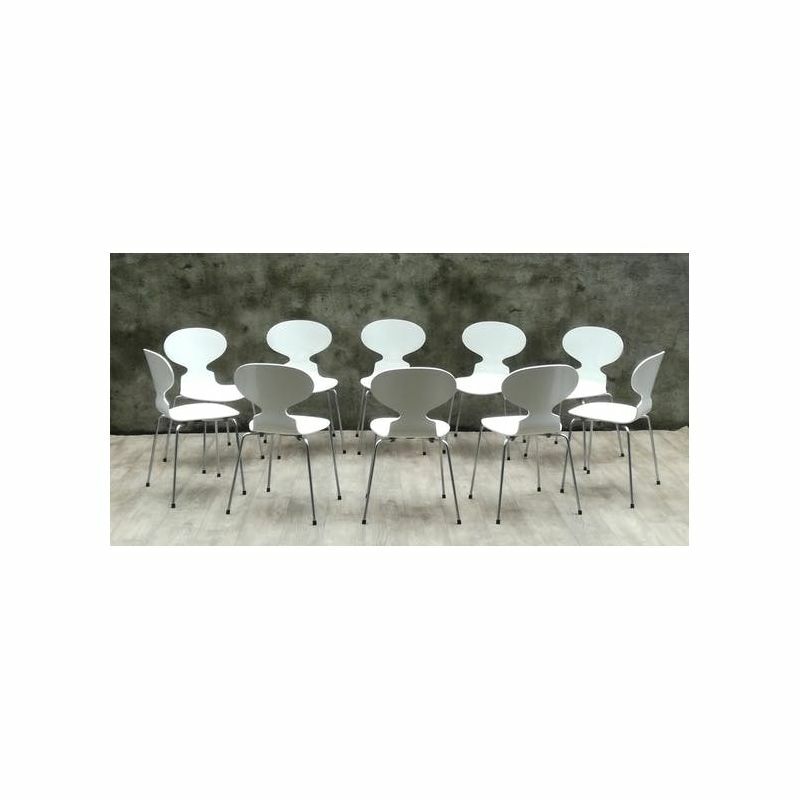 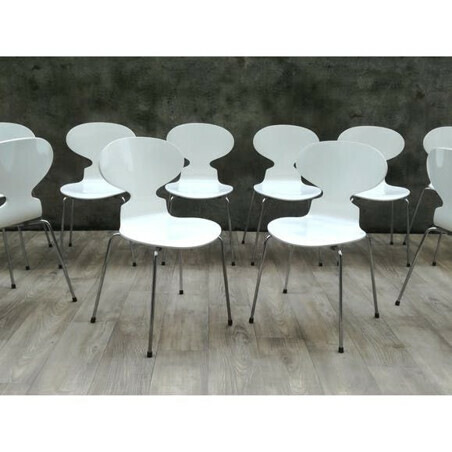 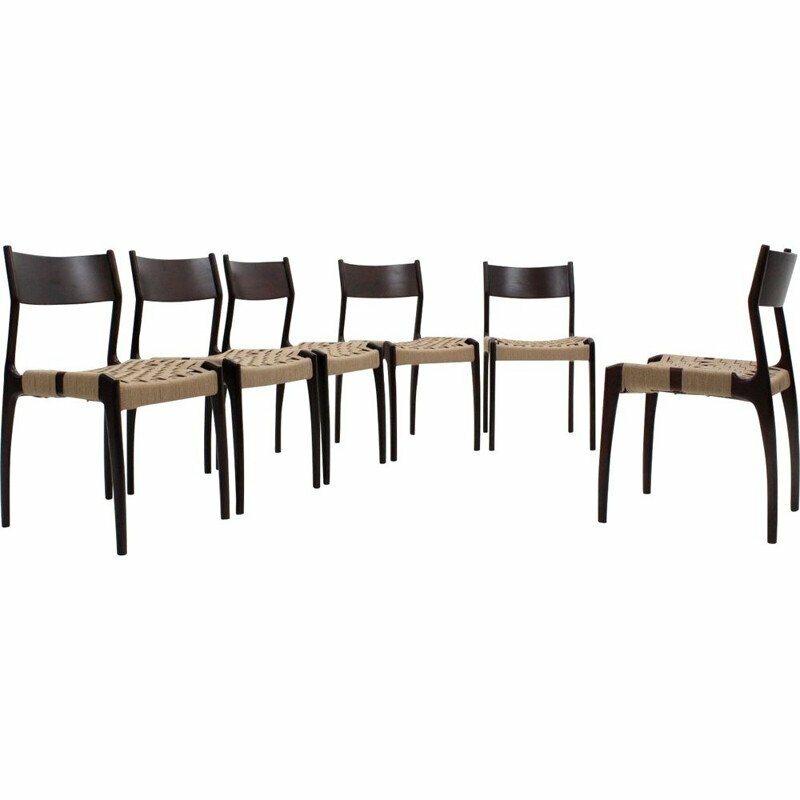 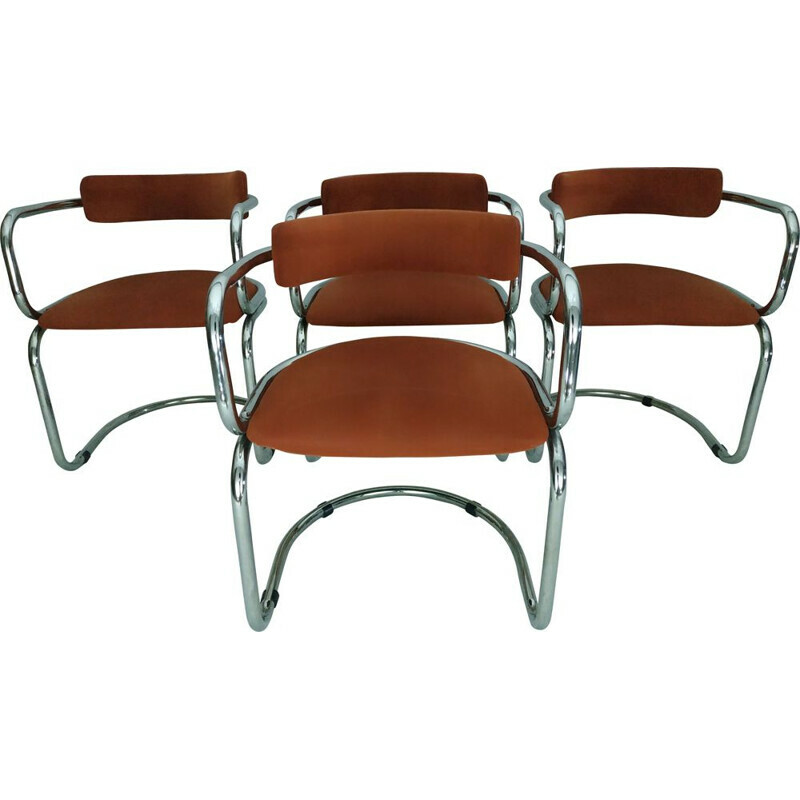 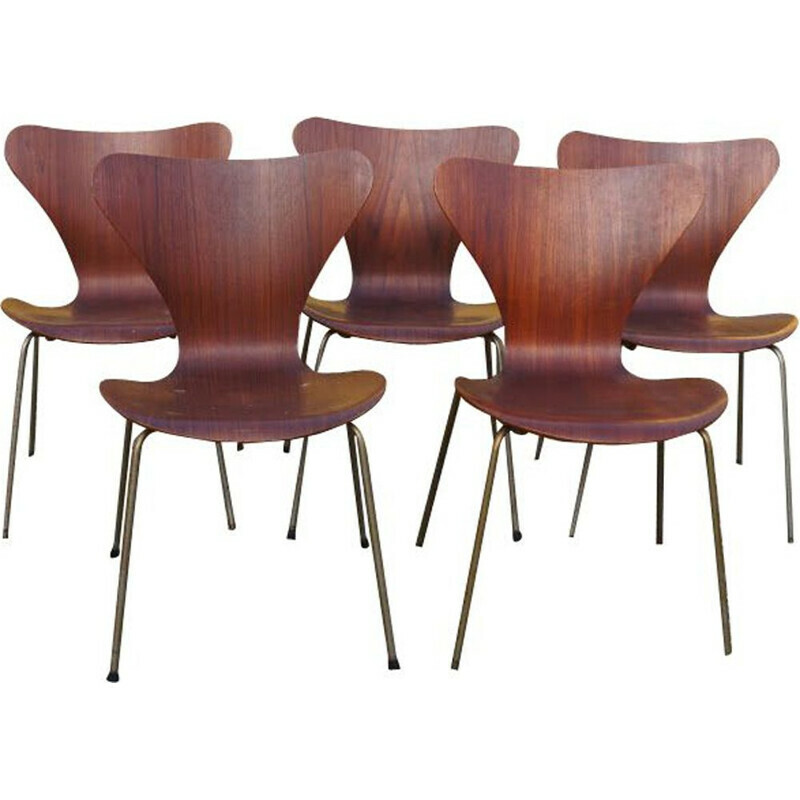 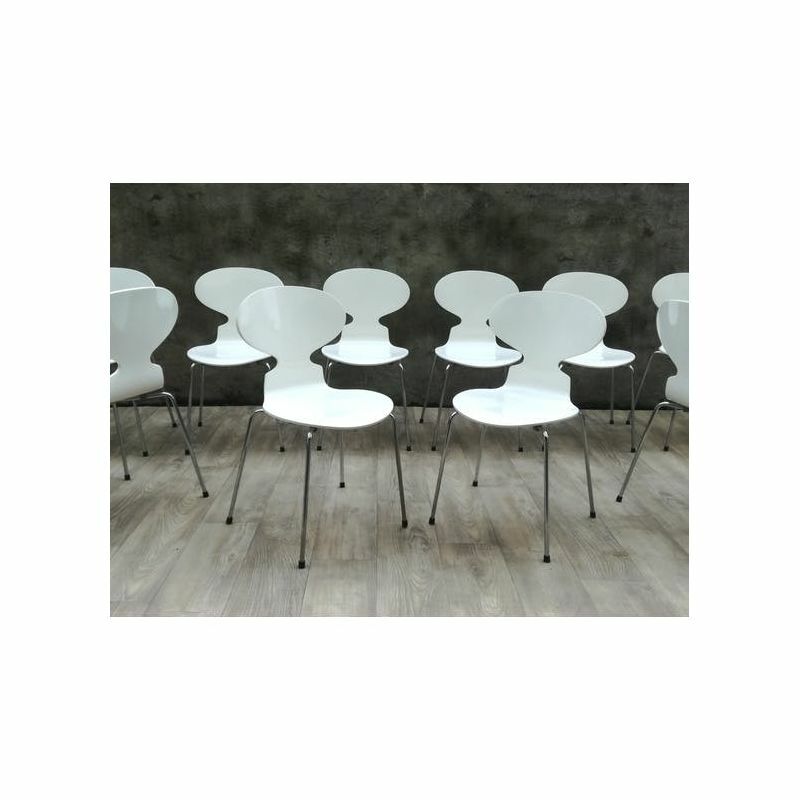 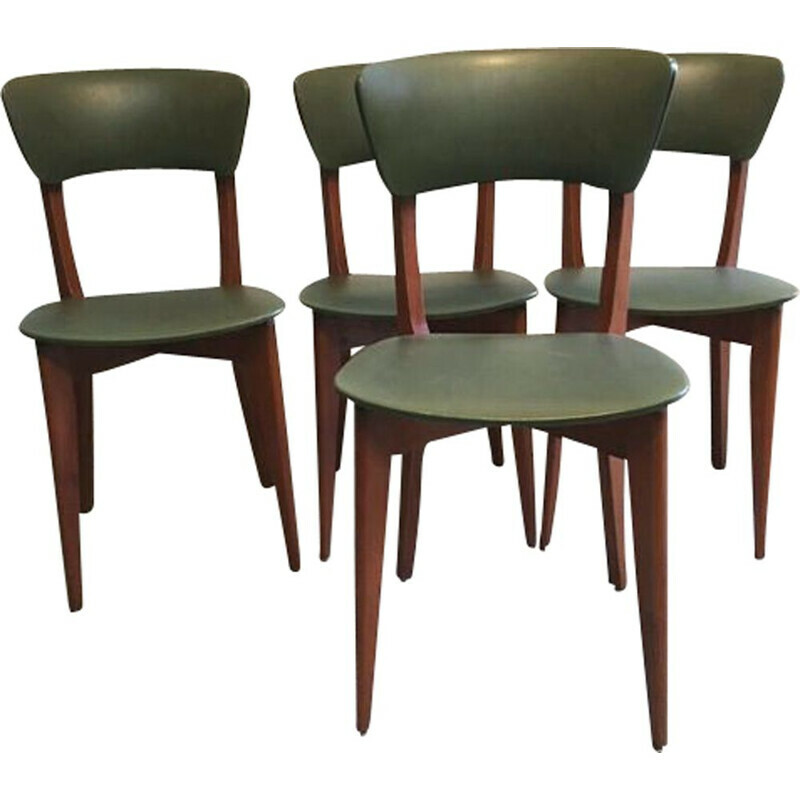 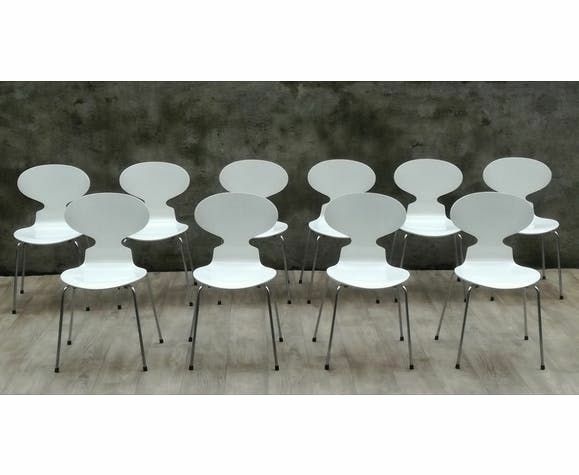 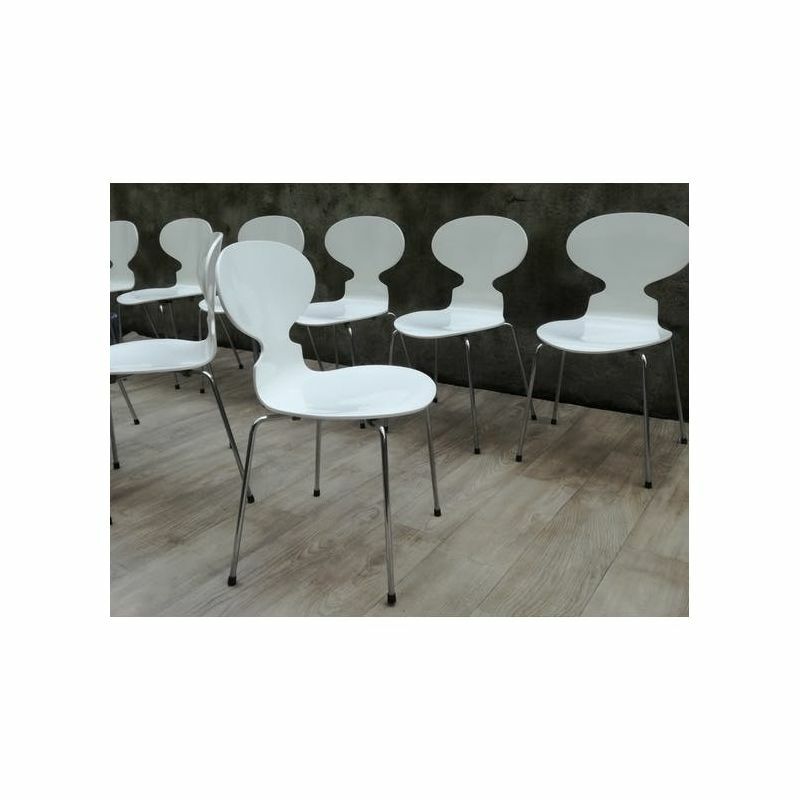 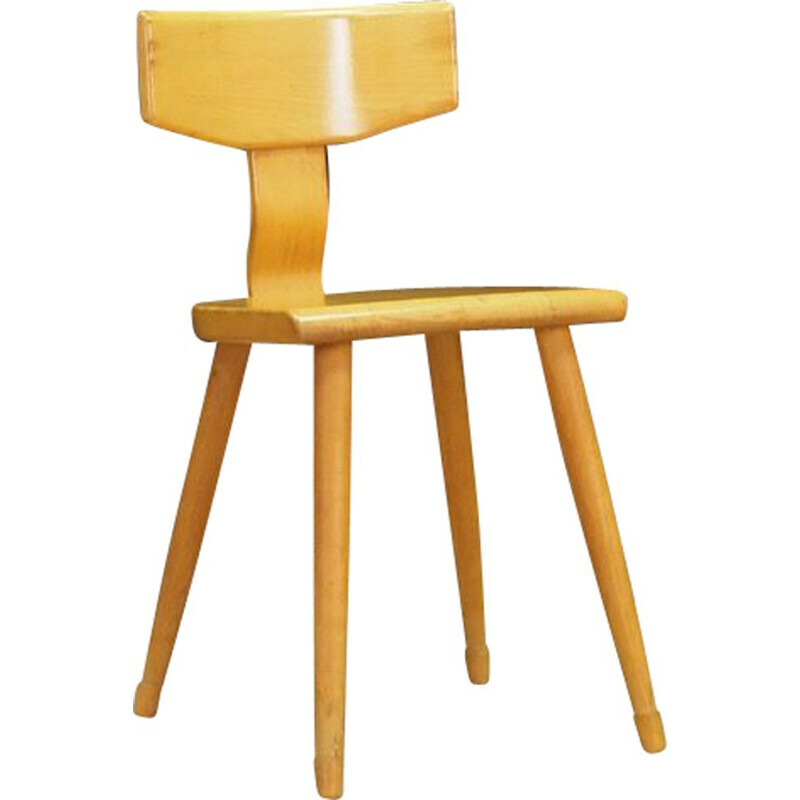 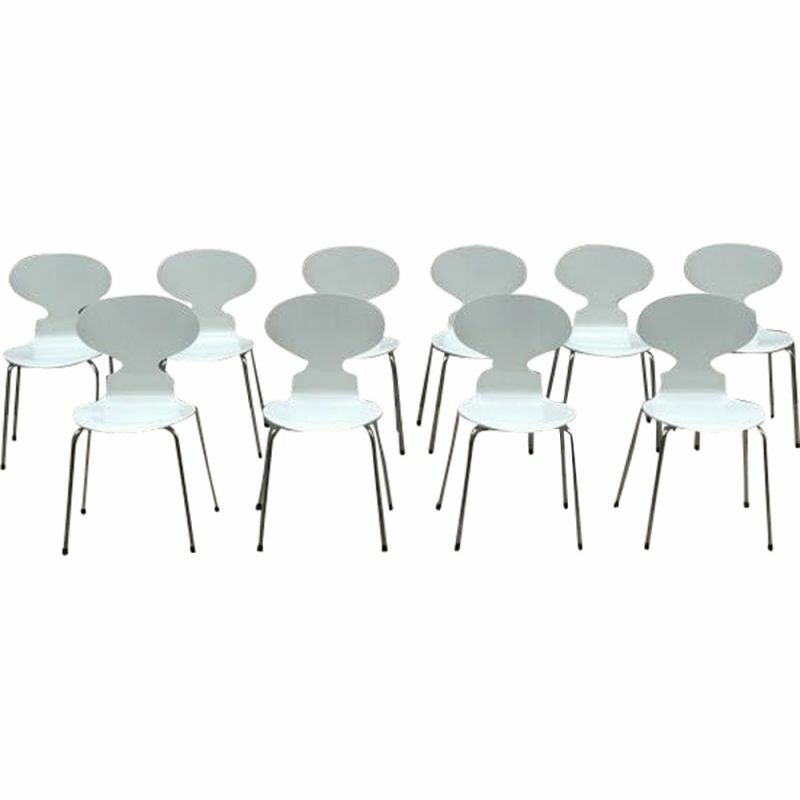 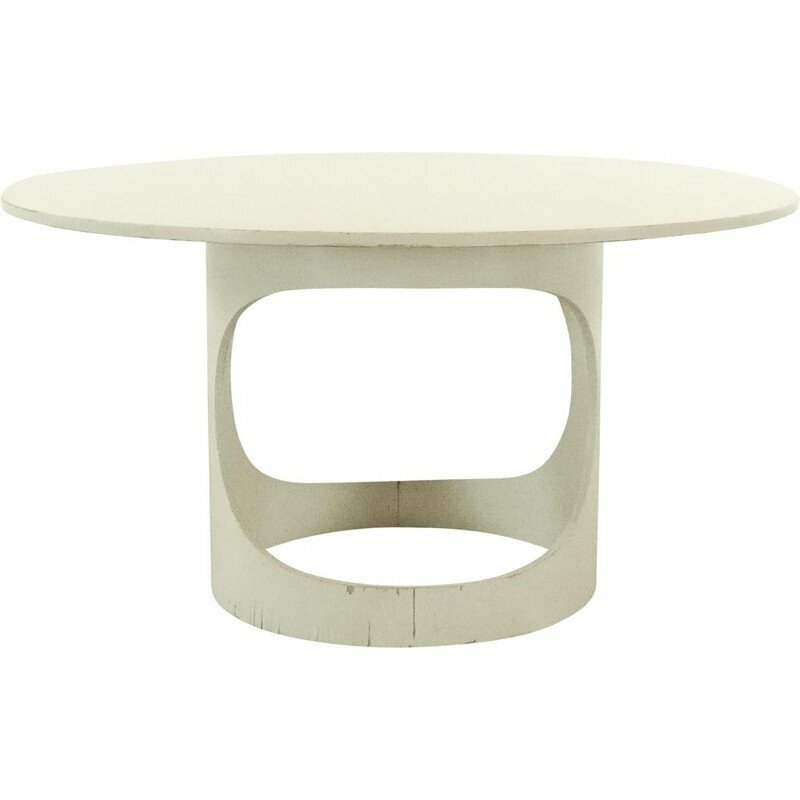 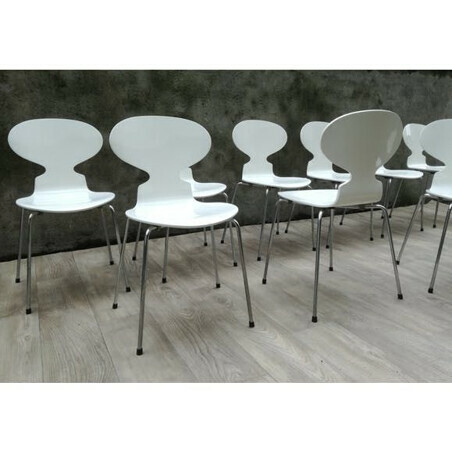 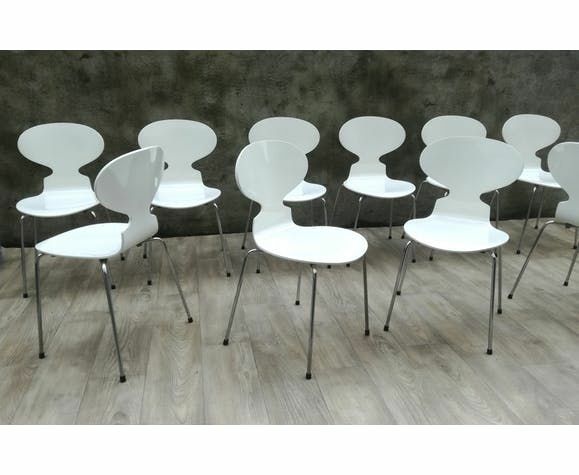 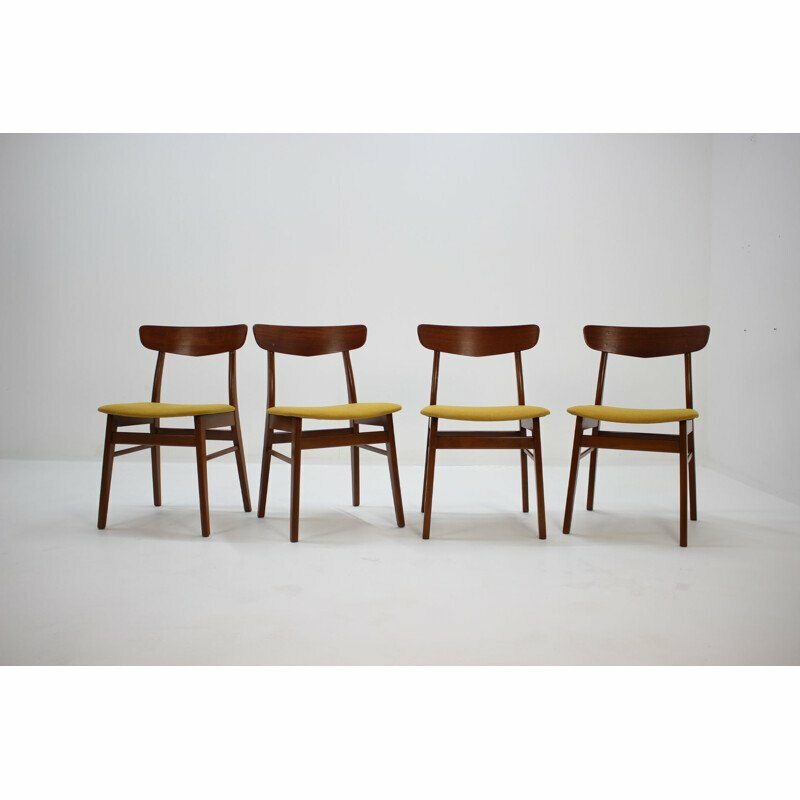 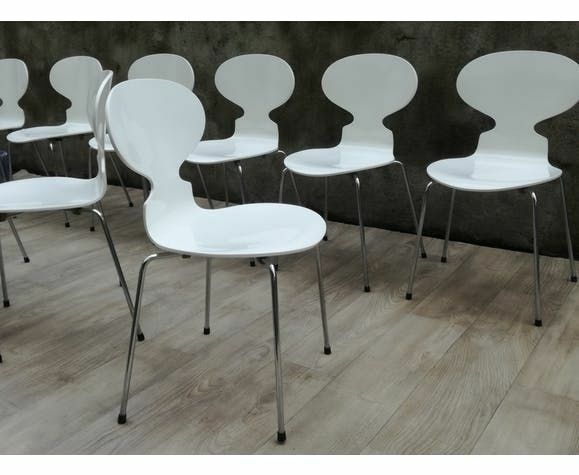 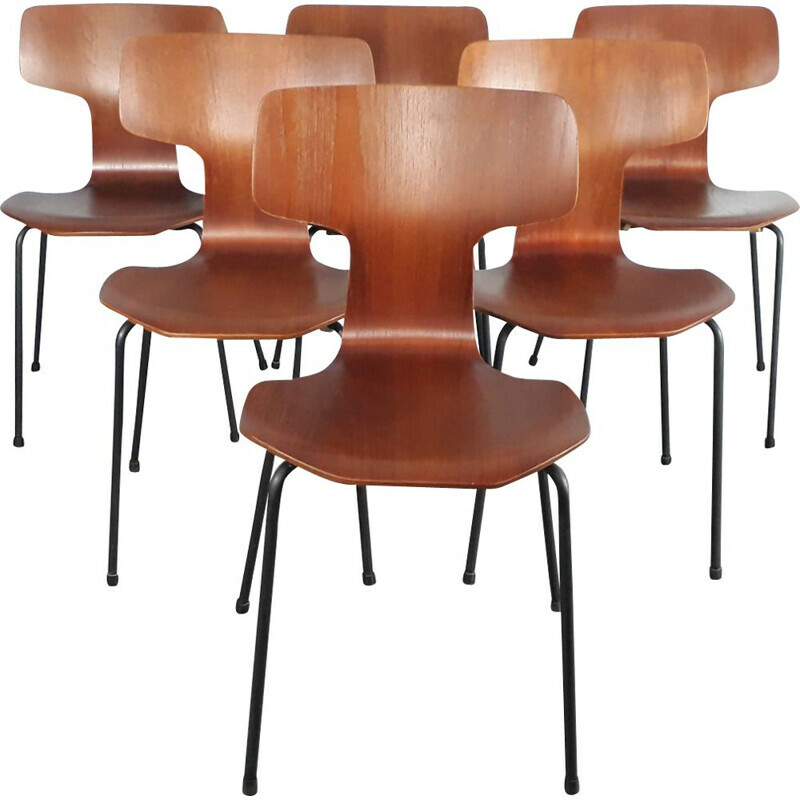 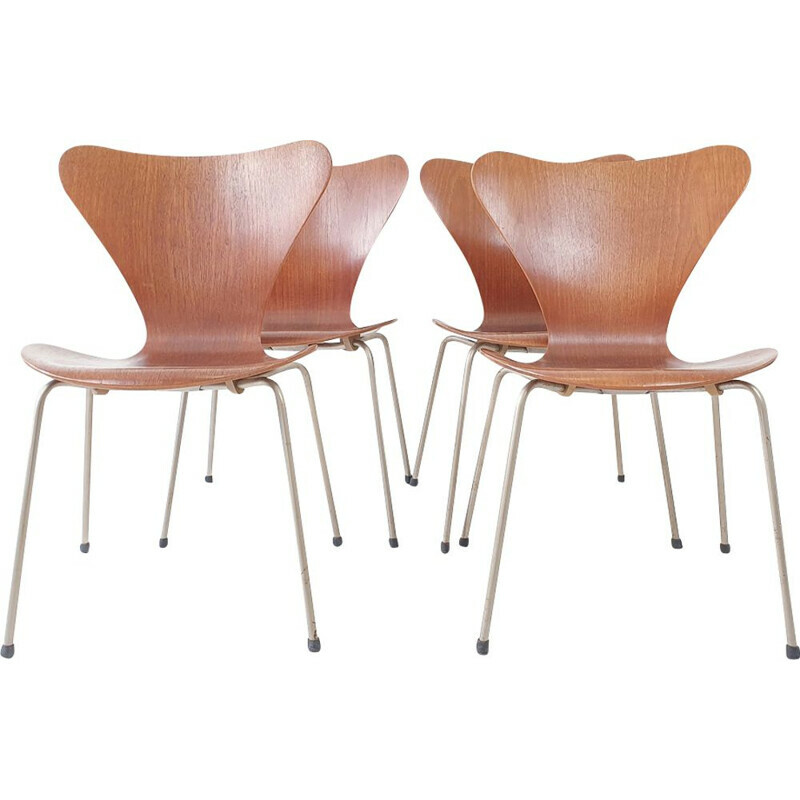 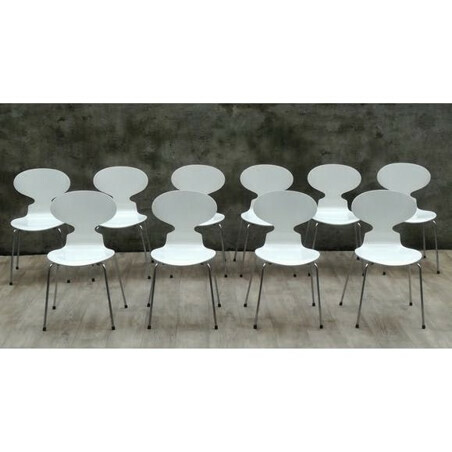 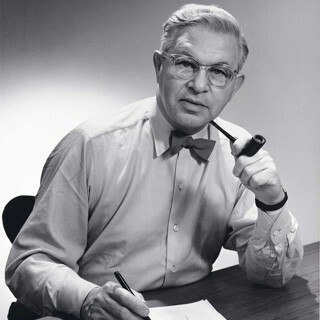 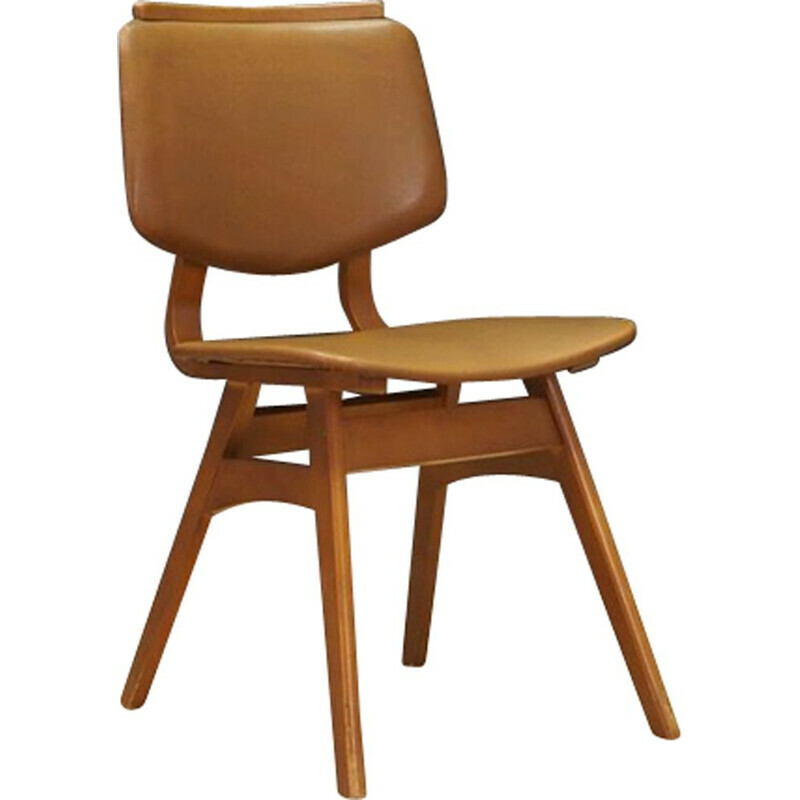 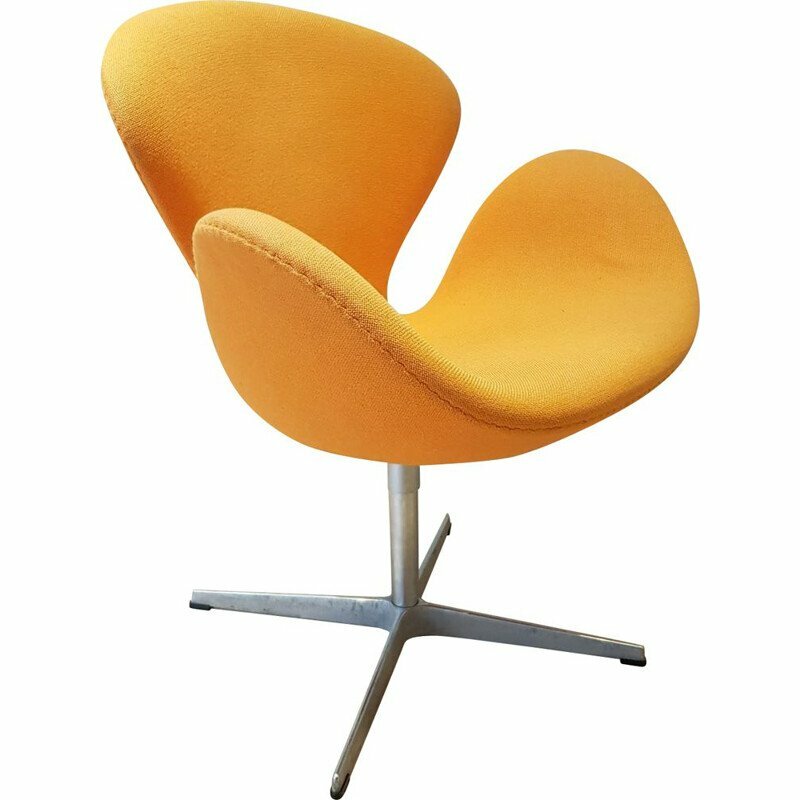 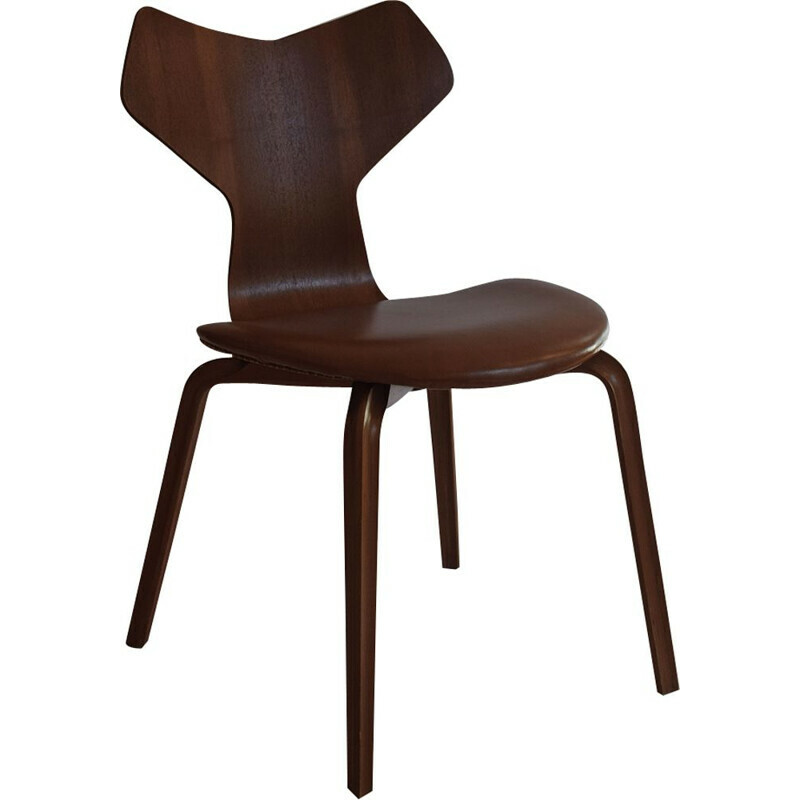 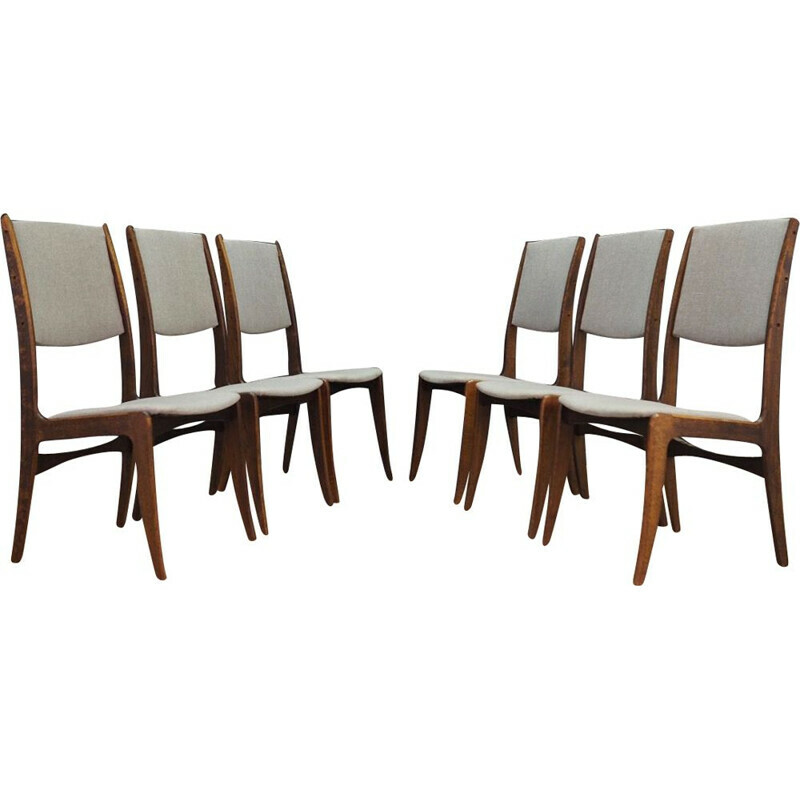 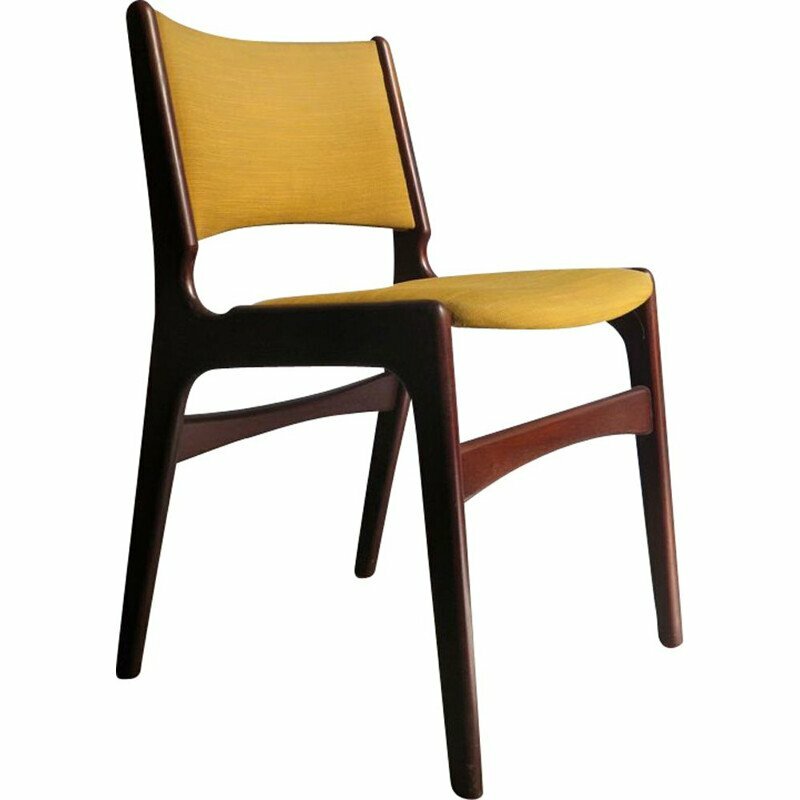 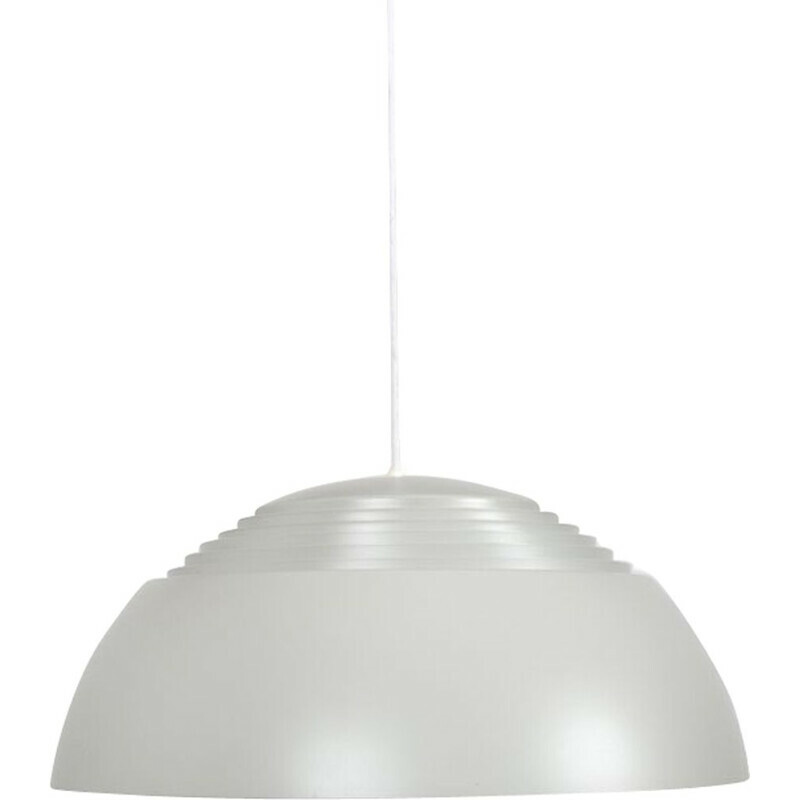 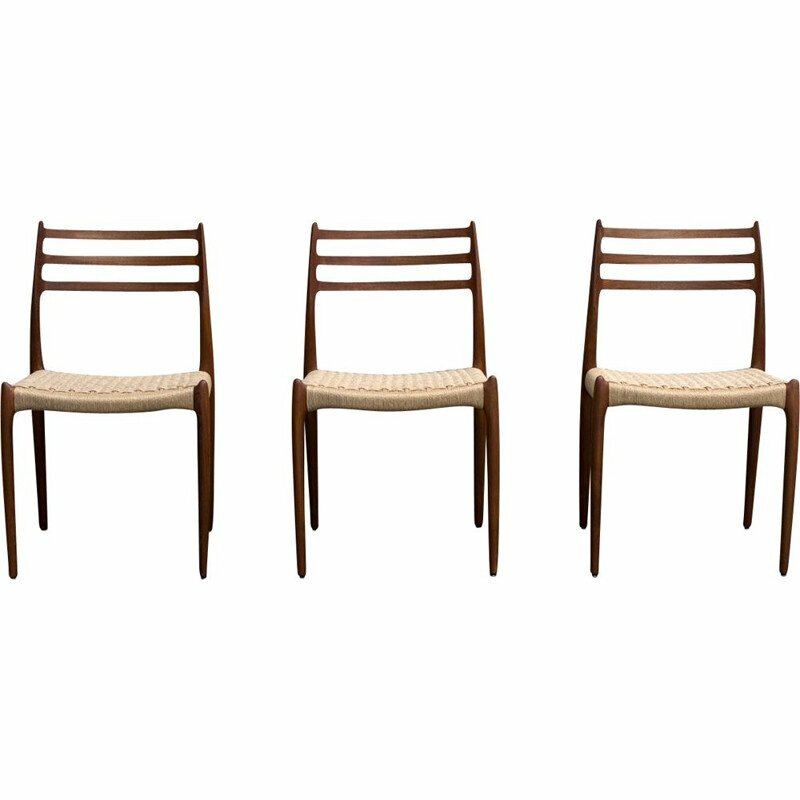 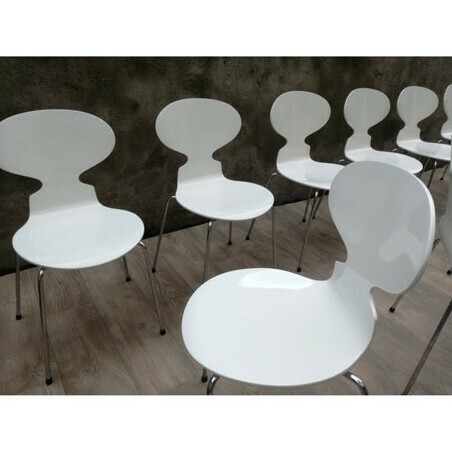 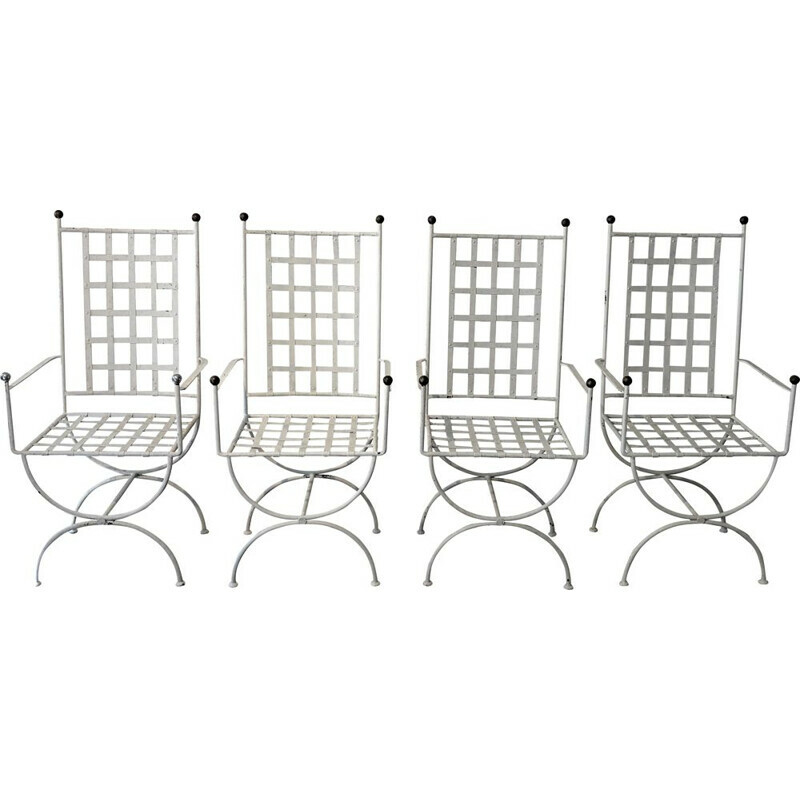 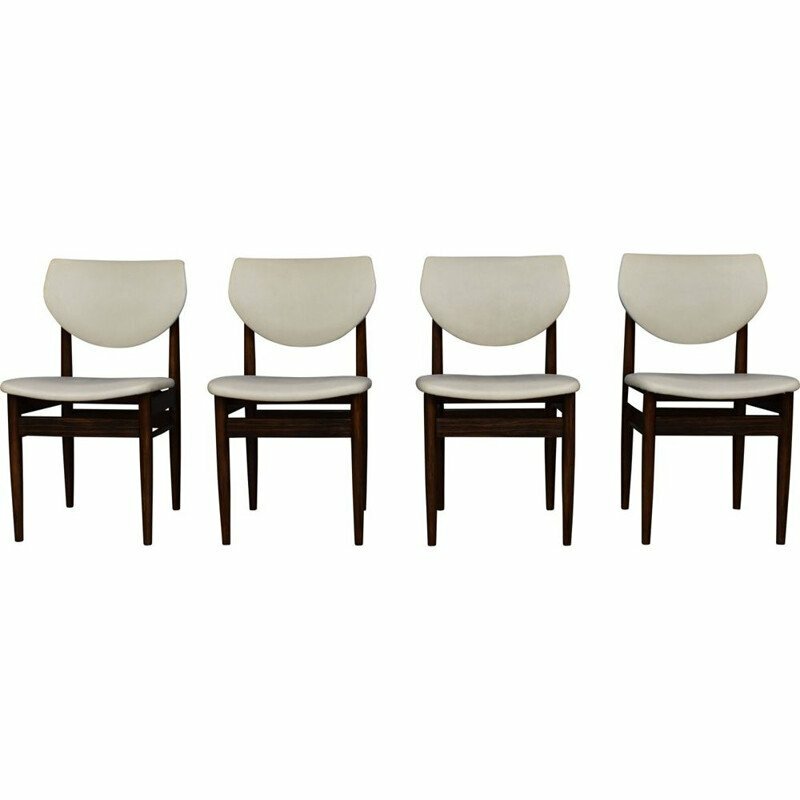 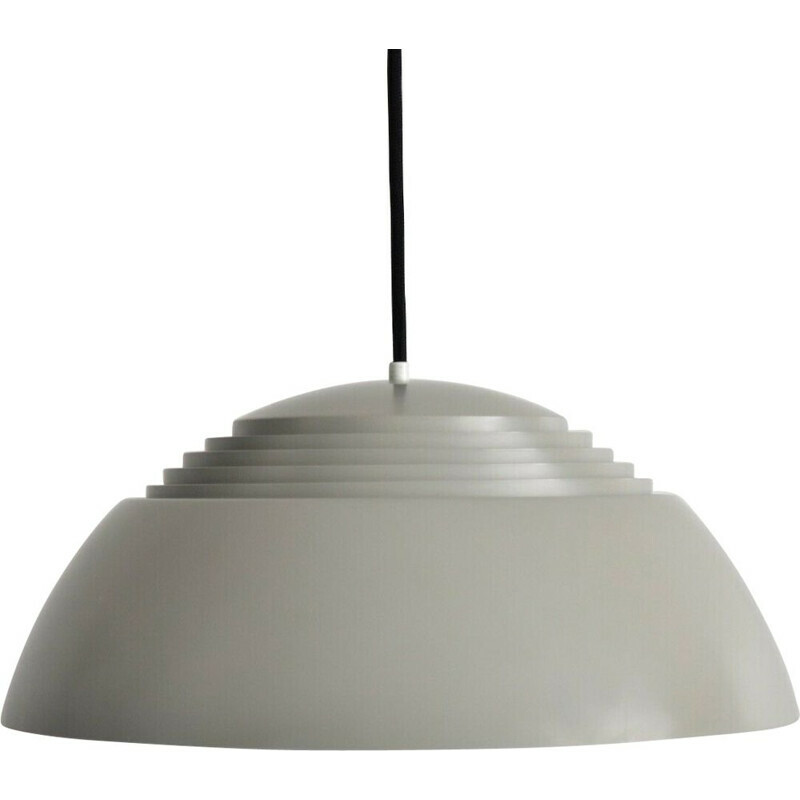 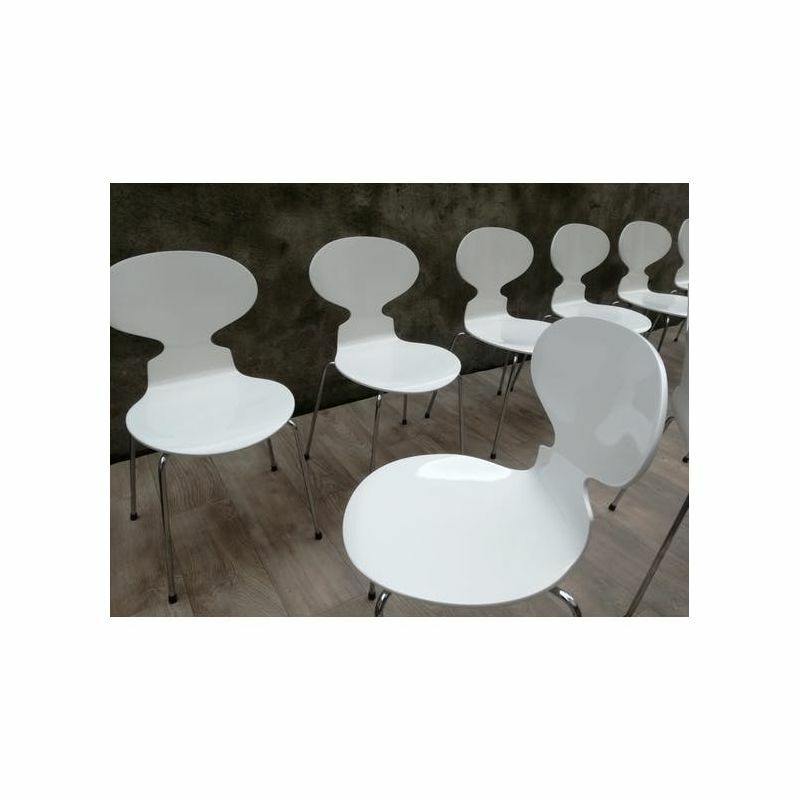 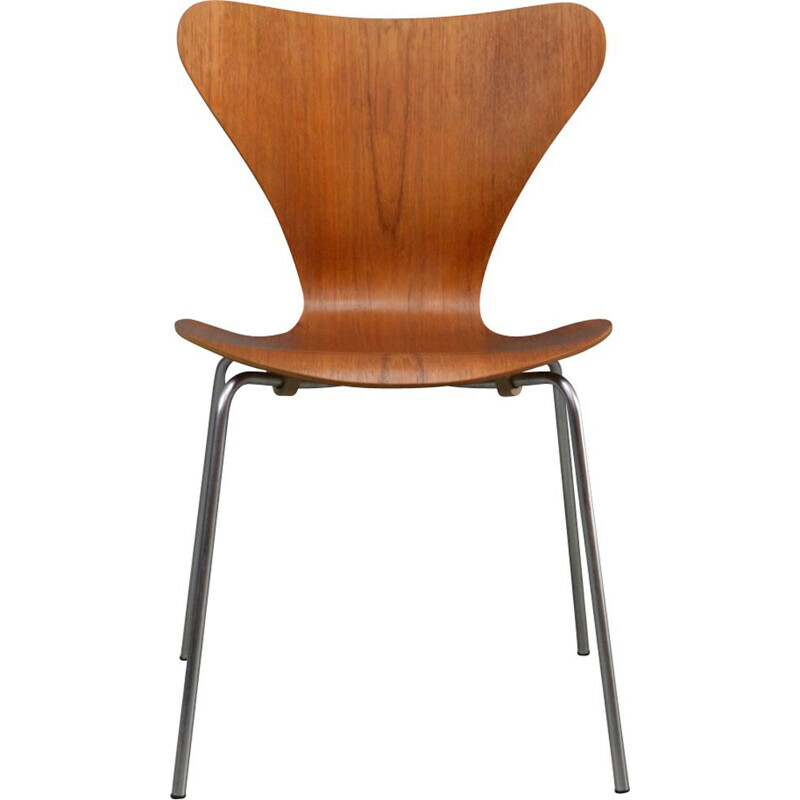 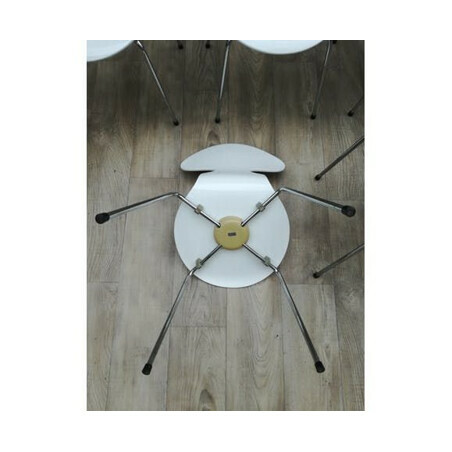 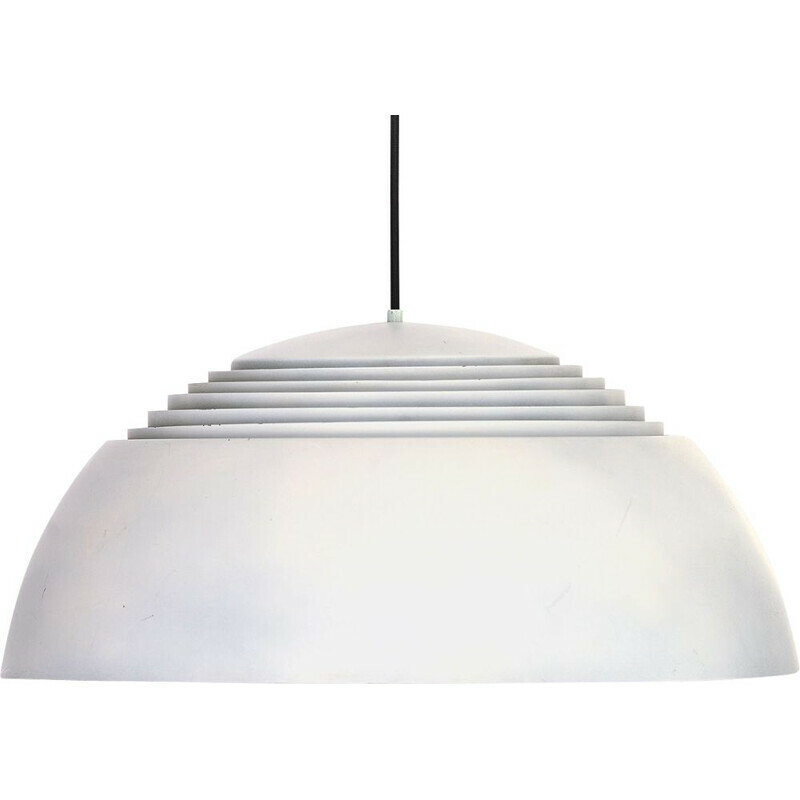 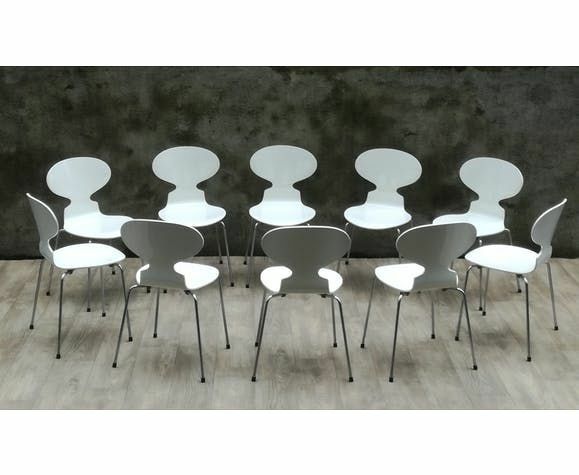 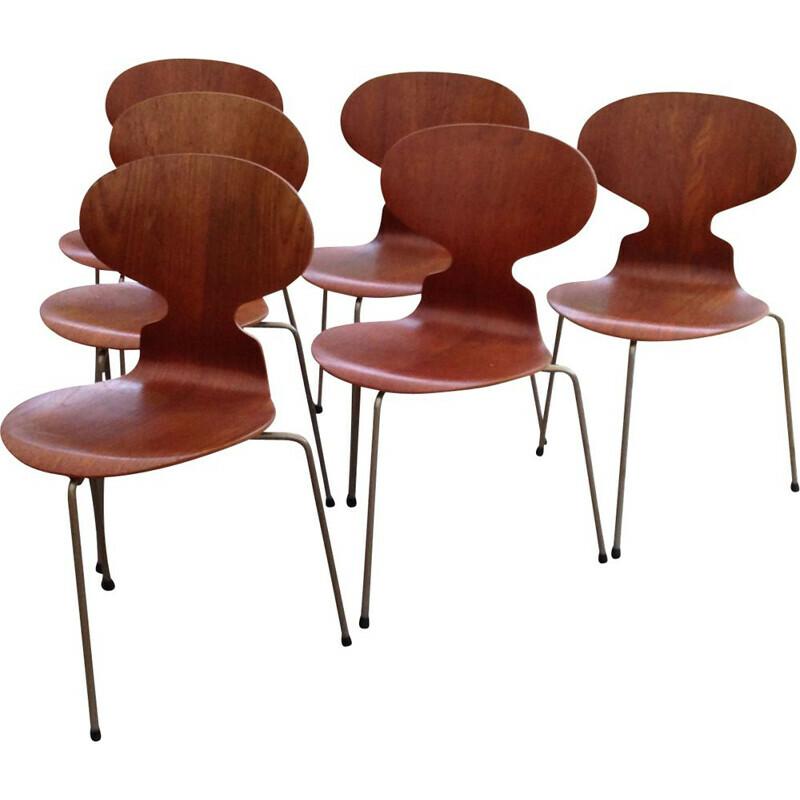 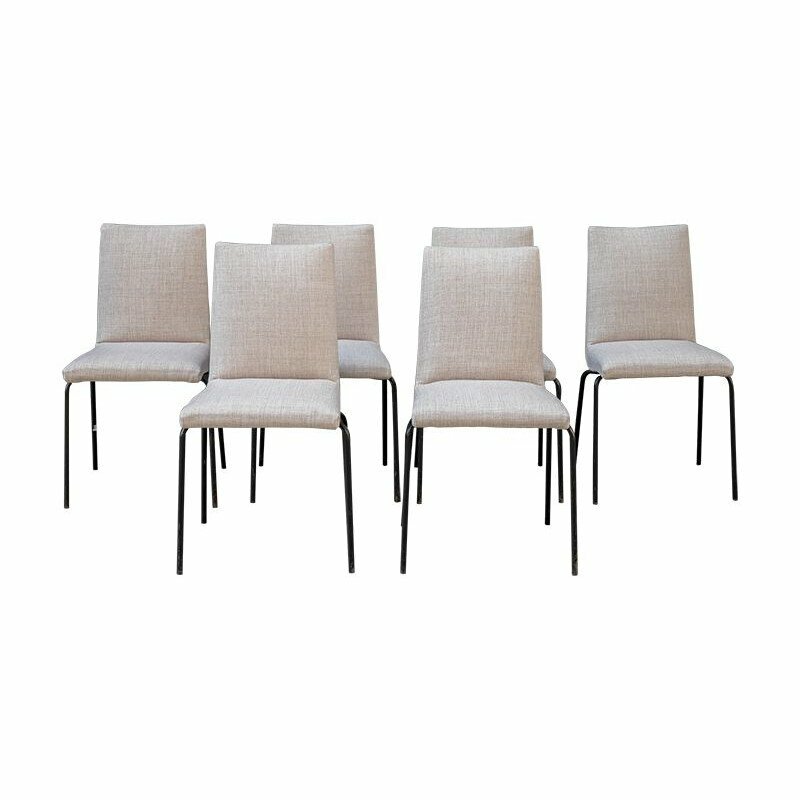 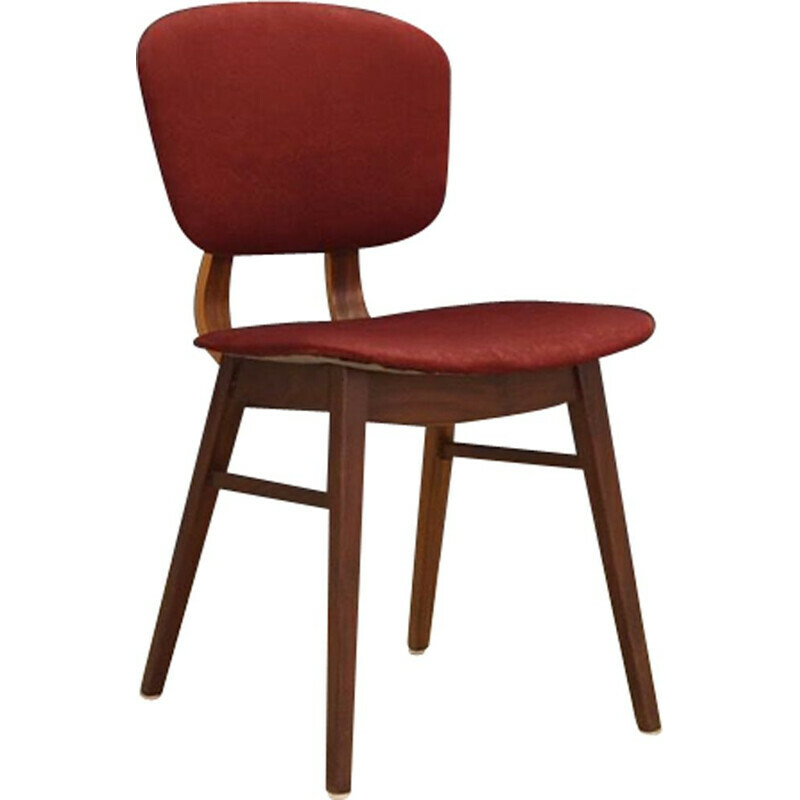 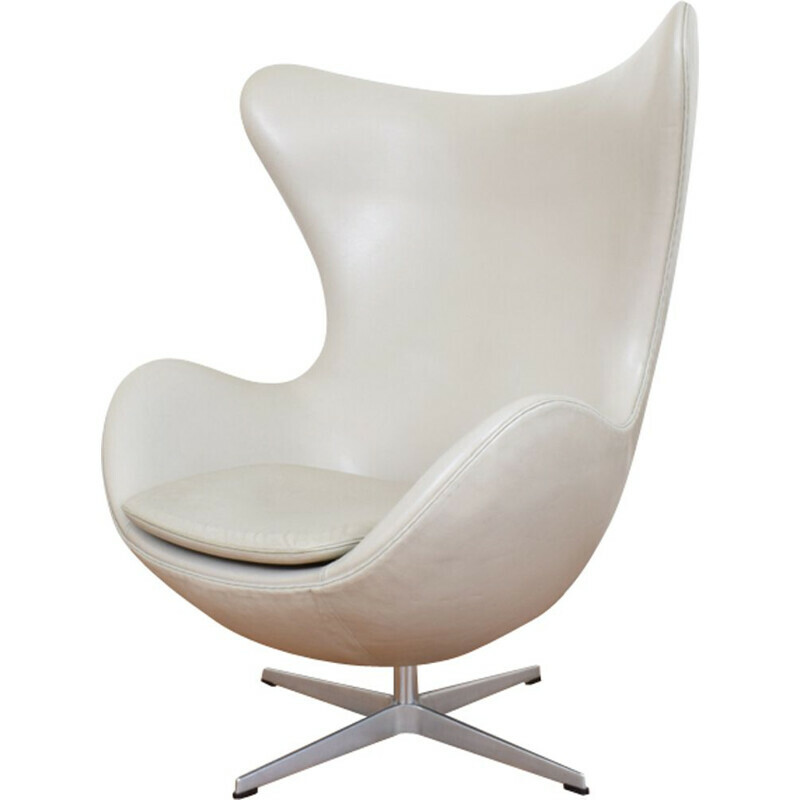 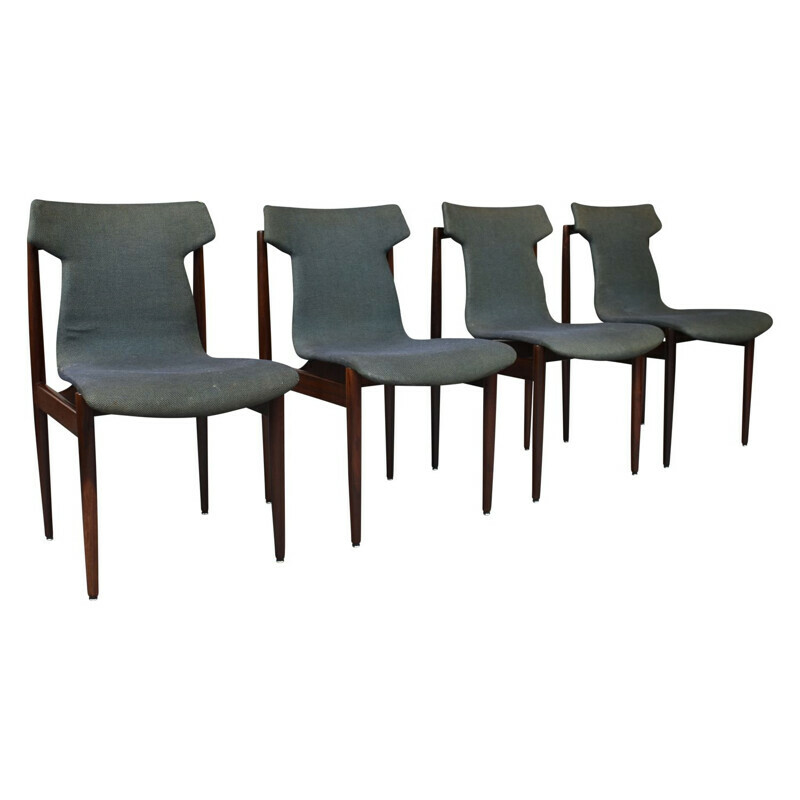 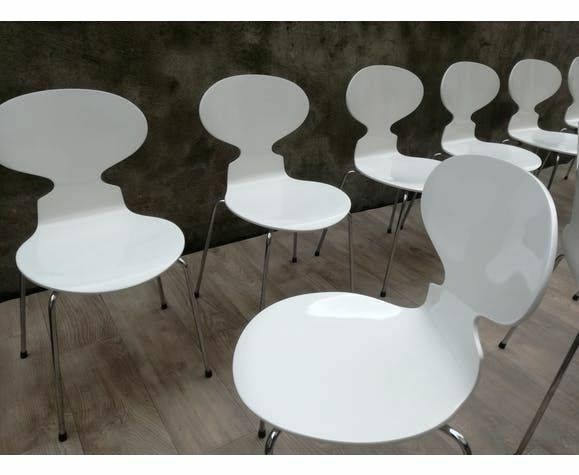 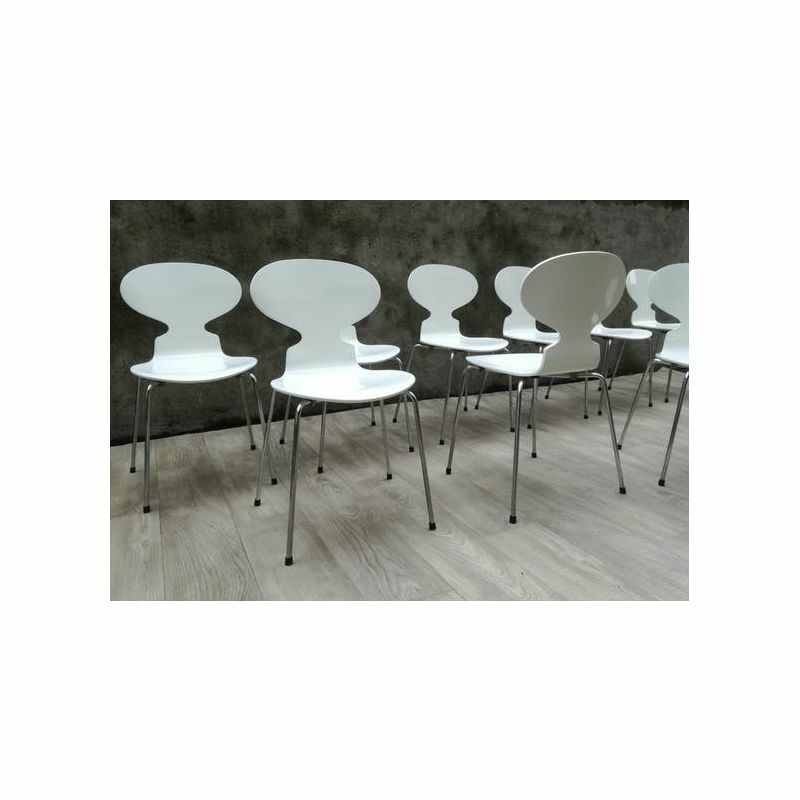 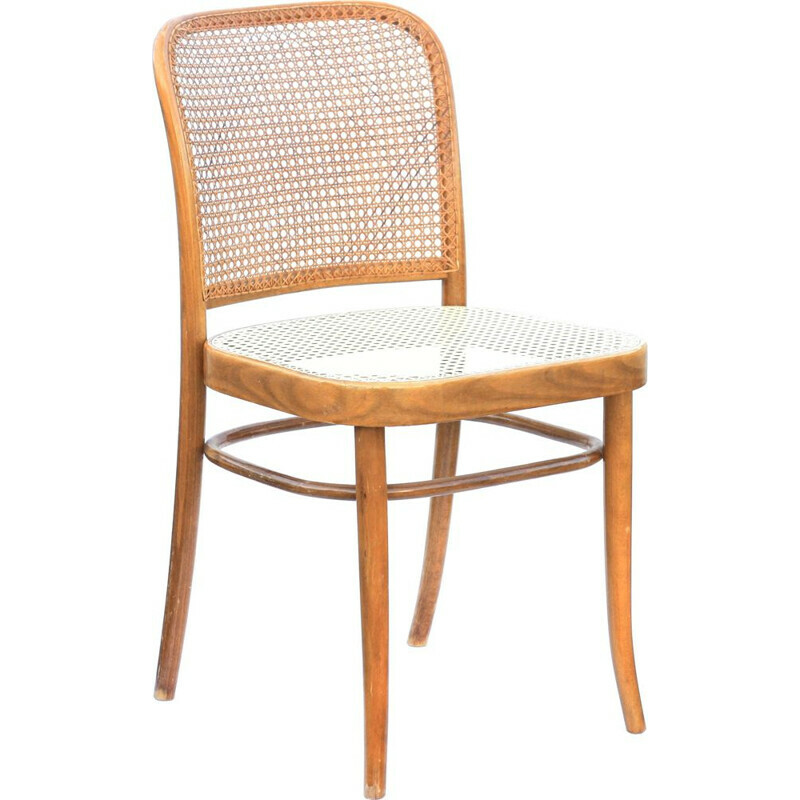 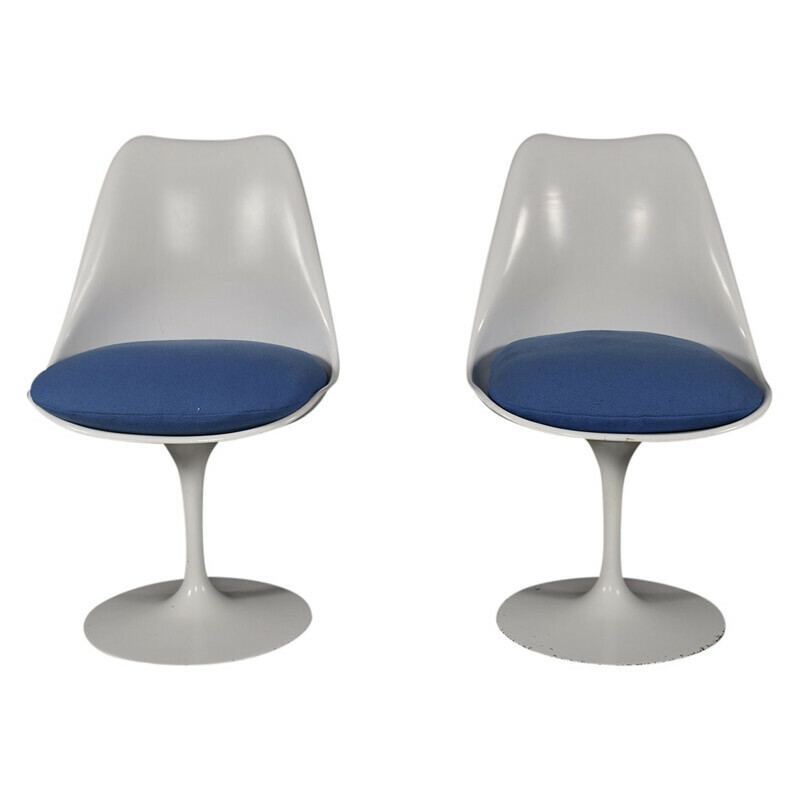 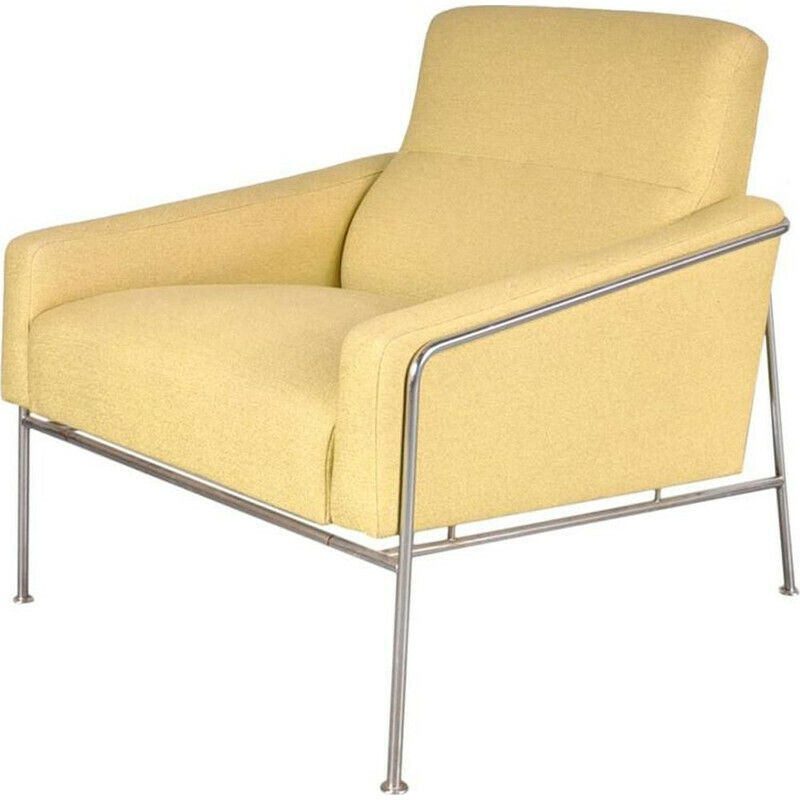 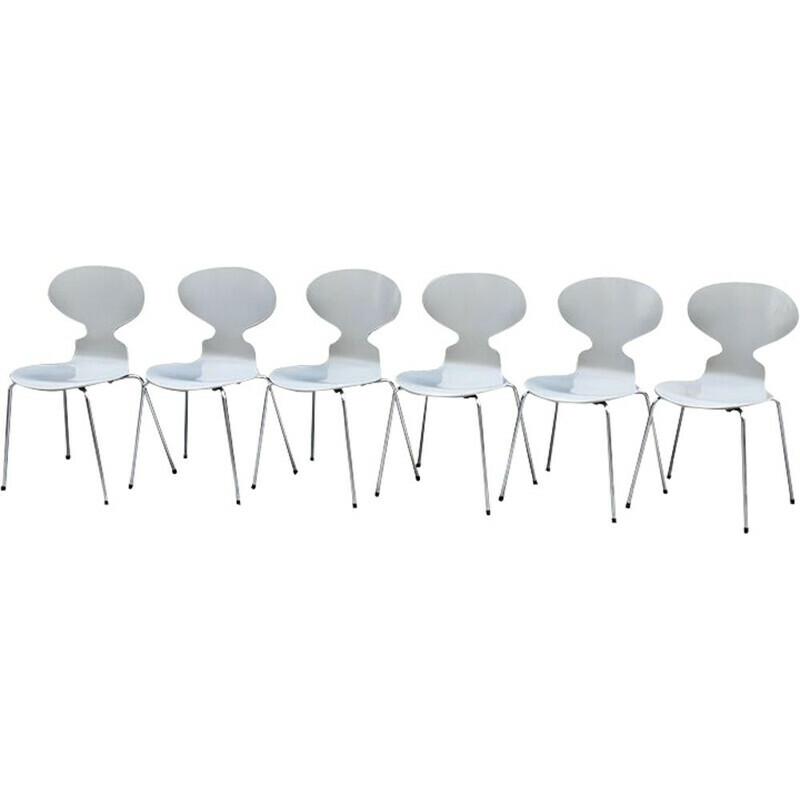 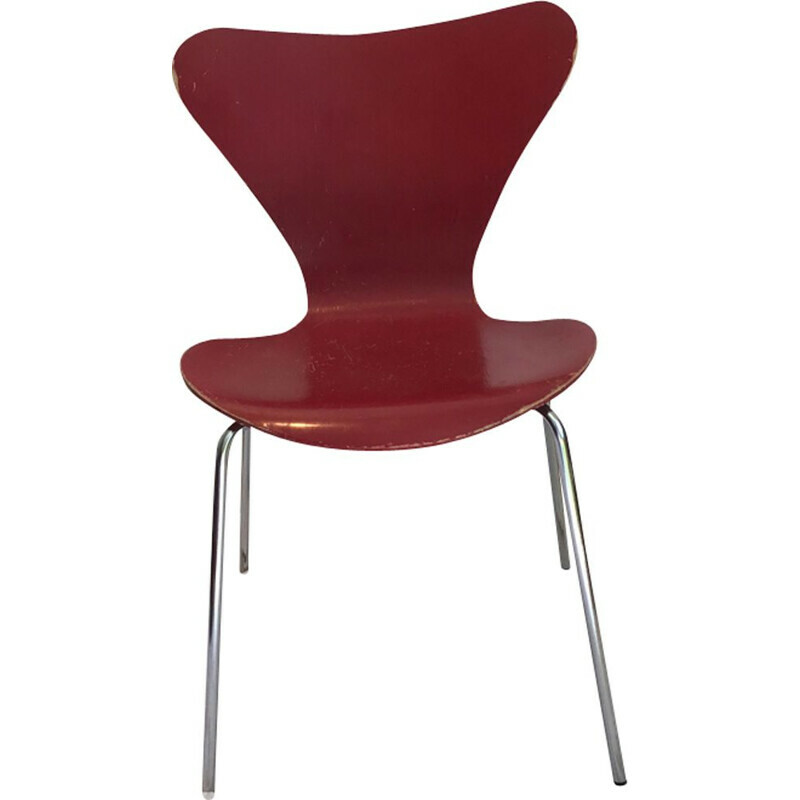 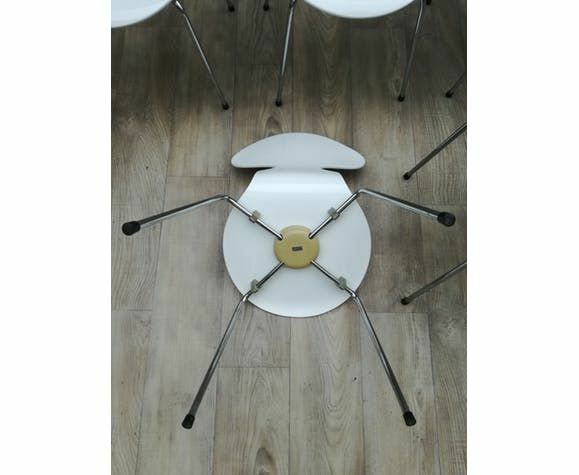 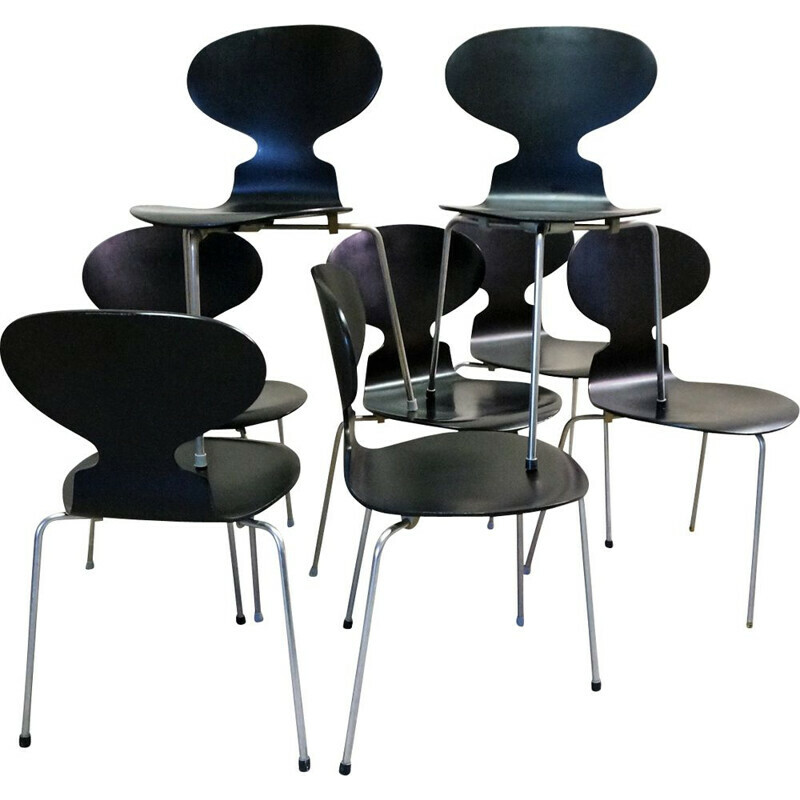 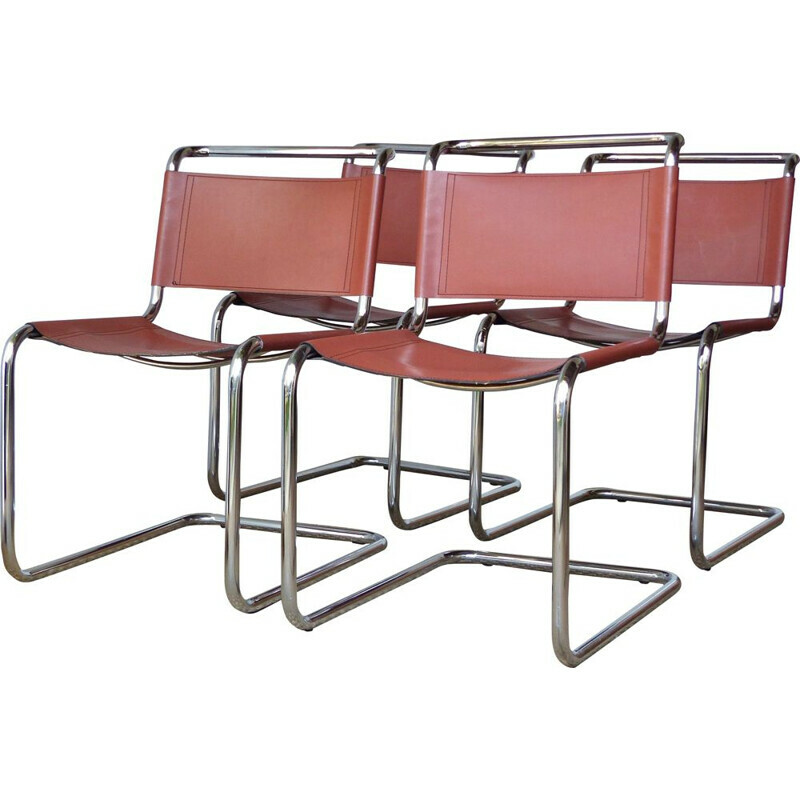 Set of 10 scandinavian Fourmi chairs by Arne Jacobsen edited in 1979 and made in plastic. 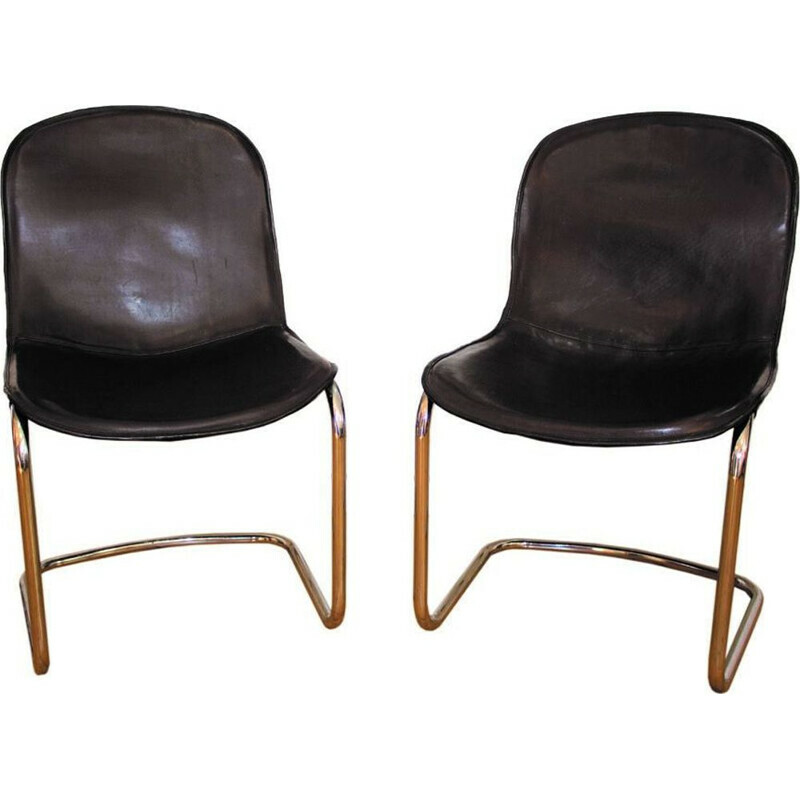 Entirely restored and relacquered foundation. 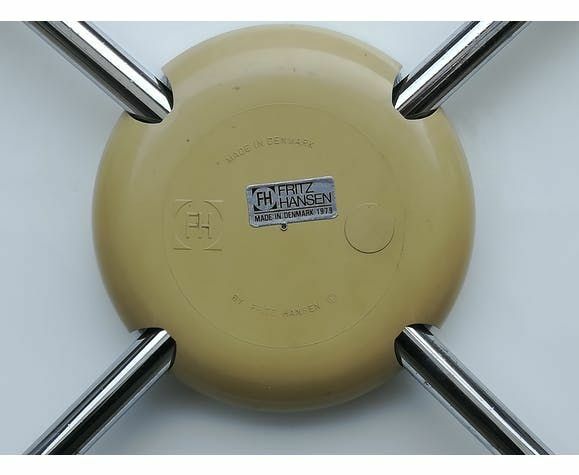 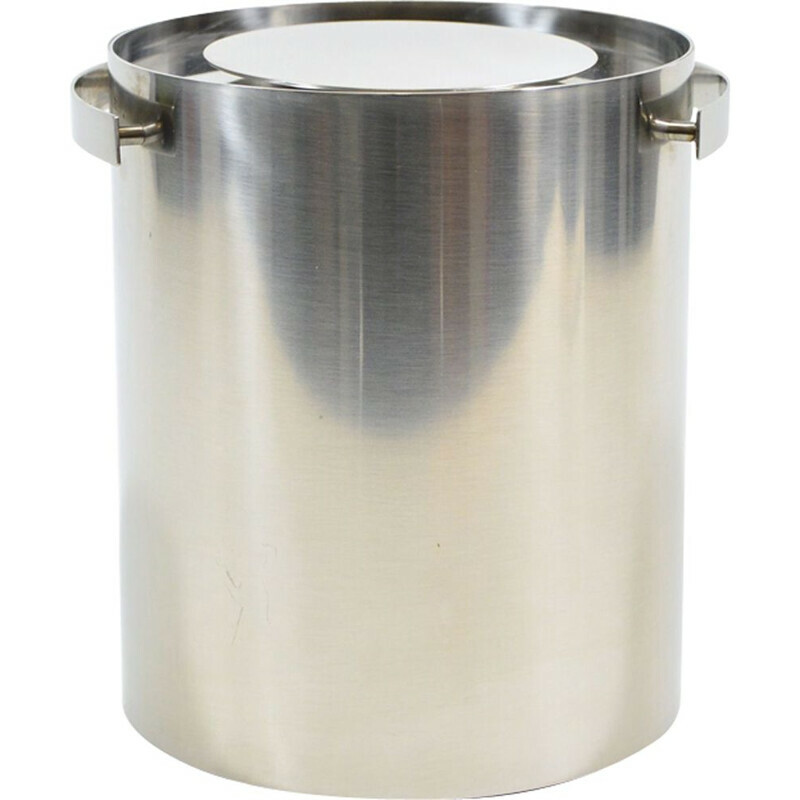 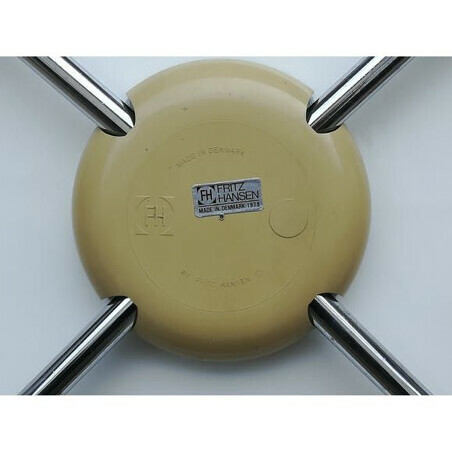 The chrome parts are in good condition. 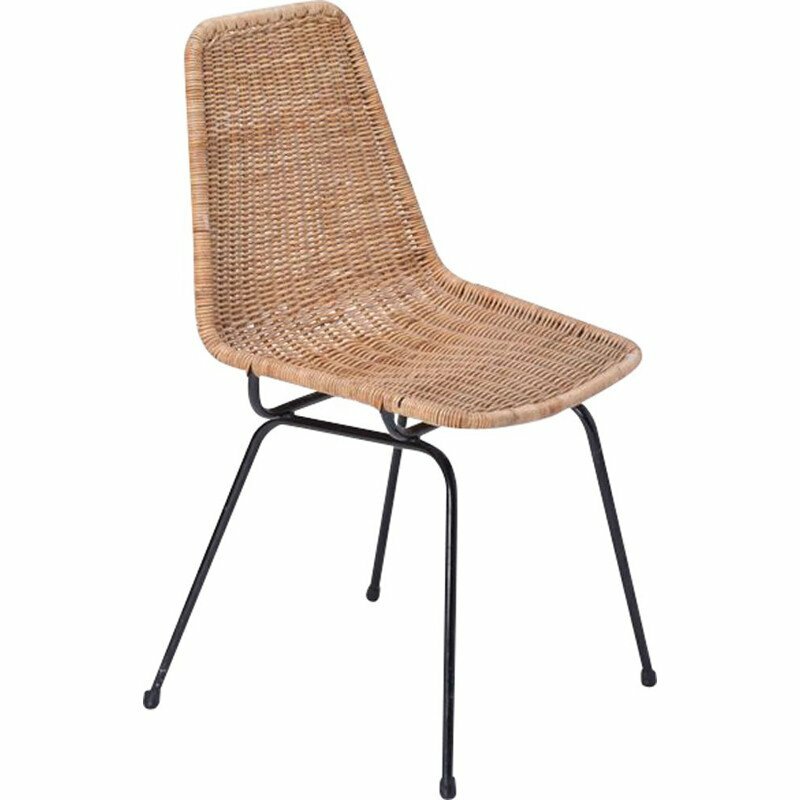 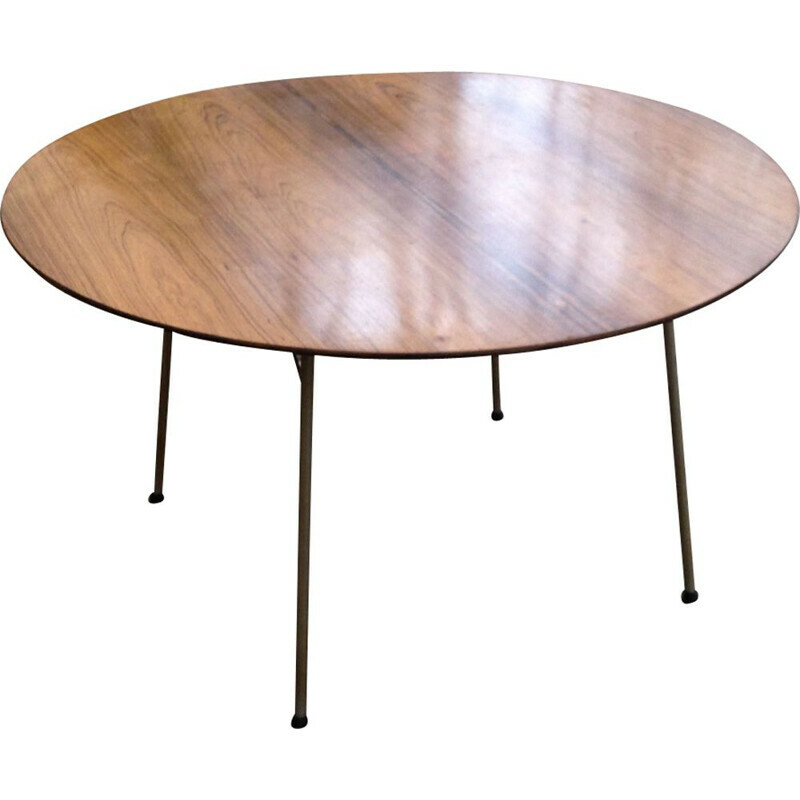 An iconic model. 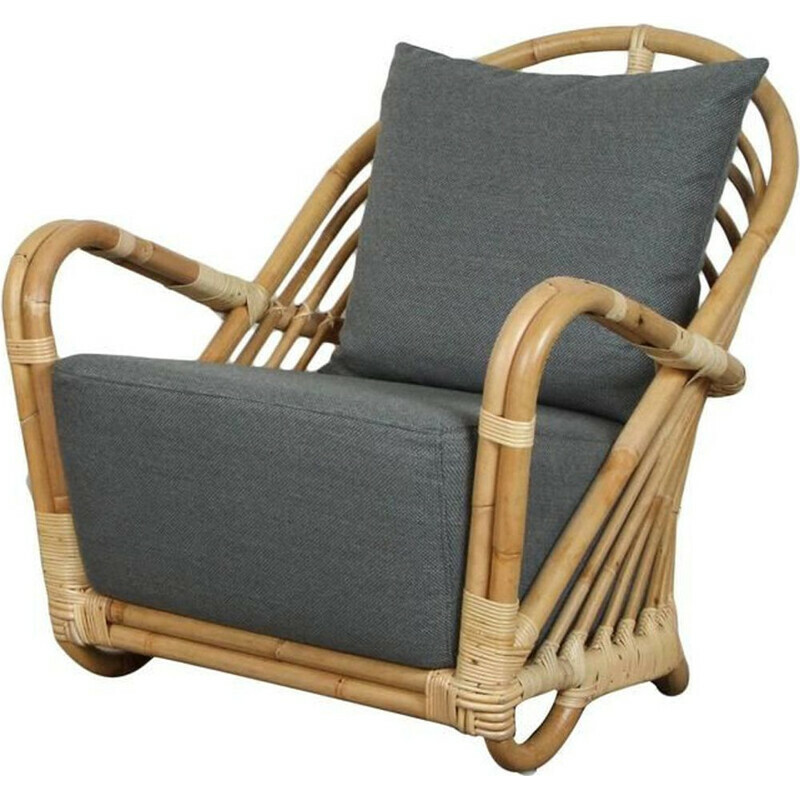 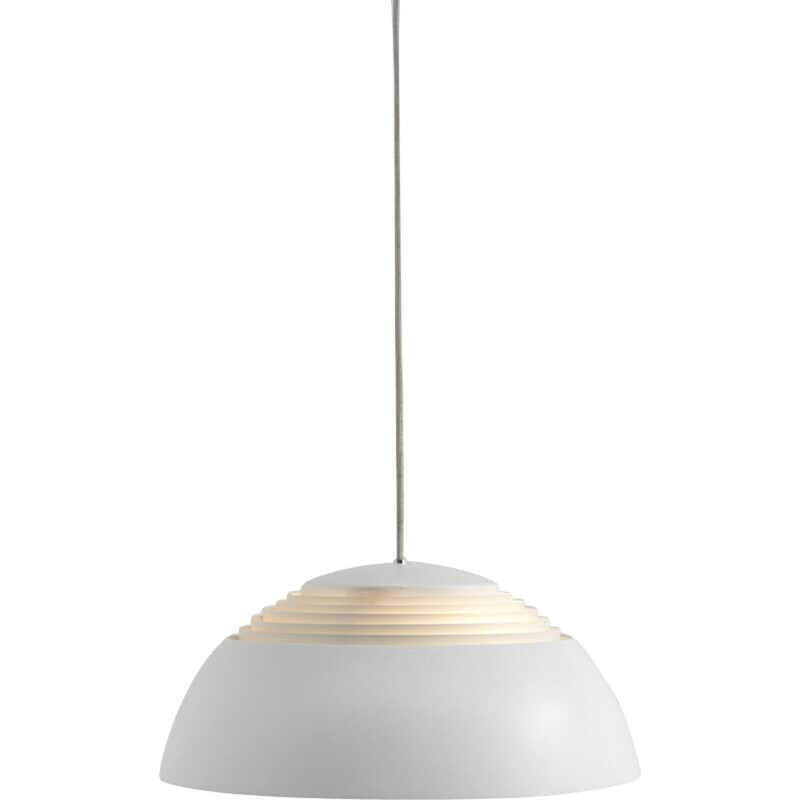 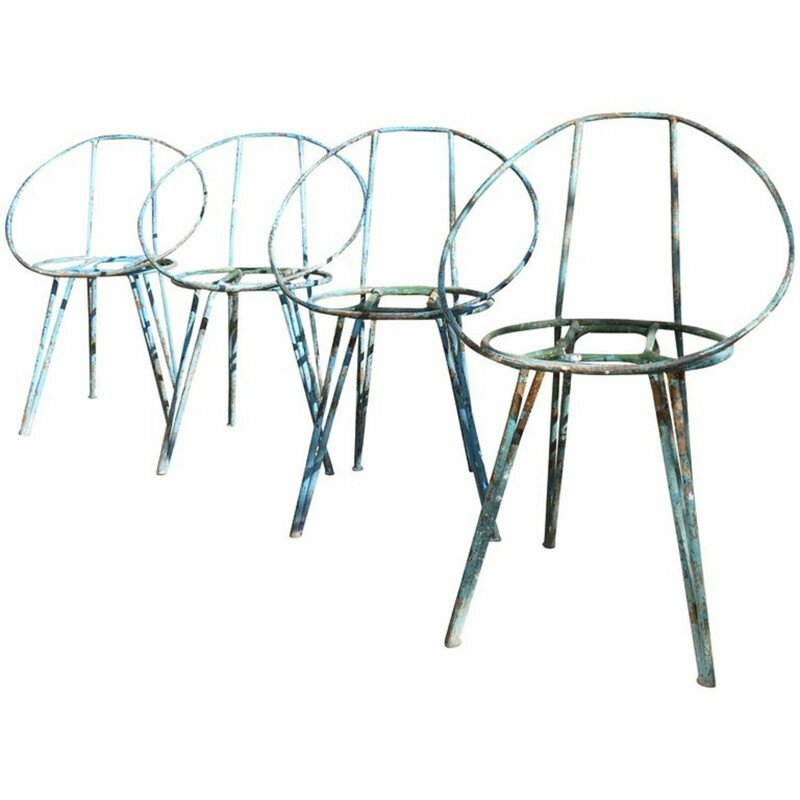 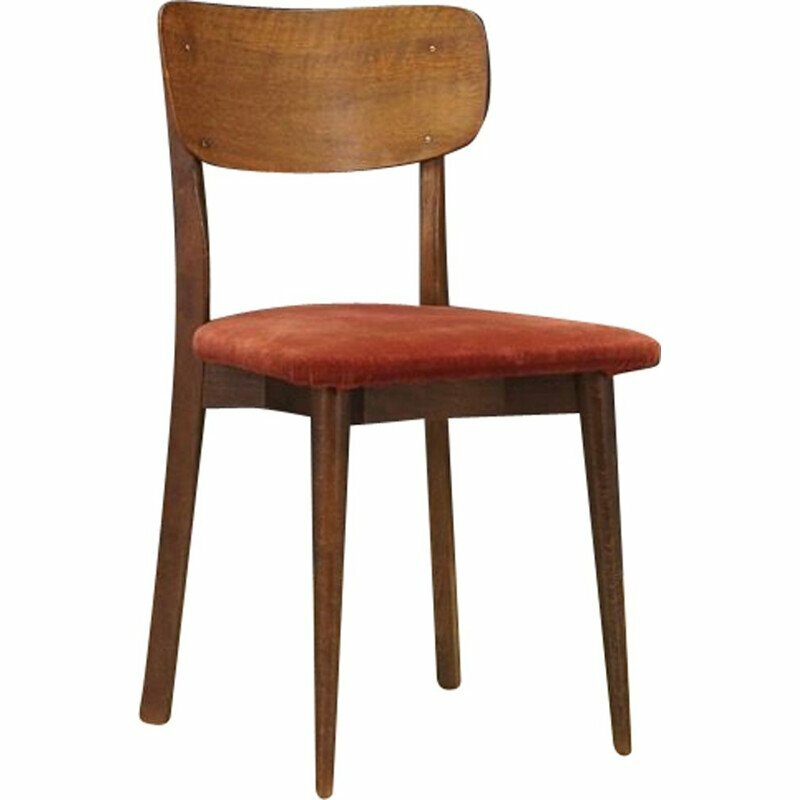 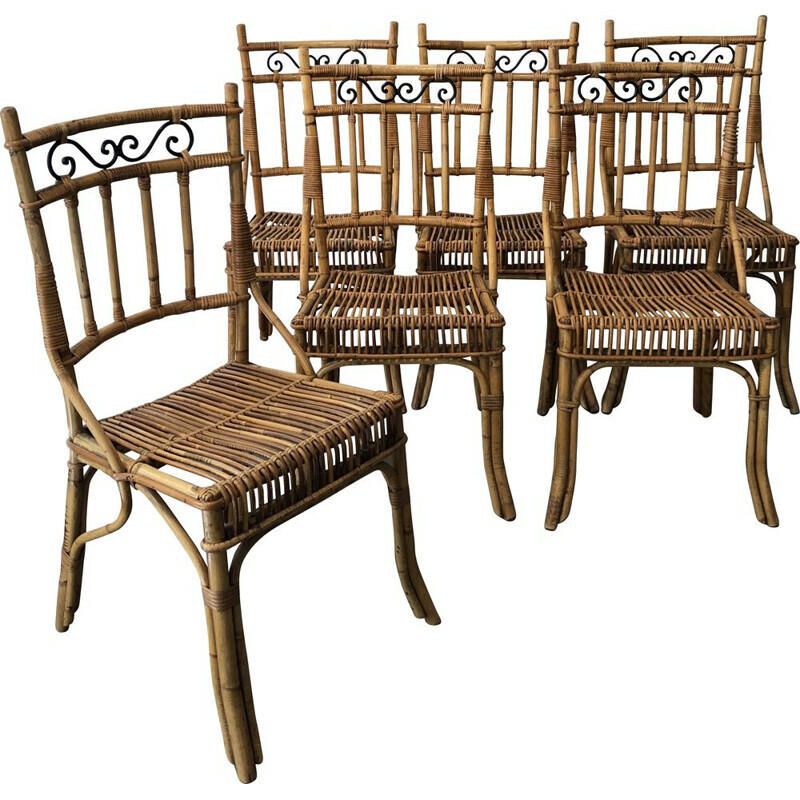 Seat height: 45cm.